I am happy to meet with you to discuss your child's progress before or after school. Please catch me in the yard or contact the school office. 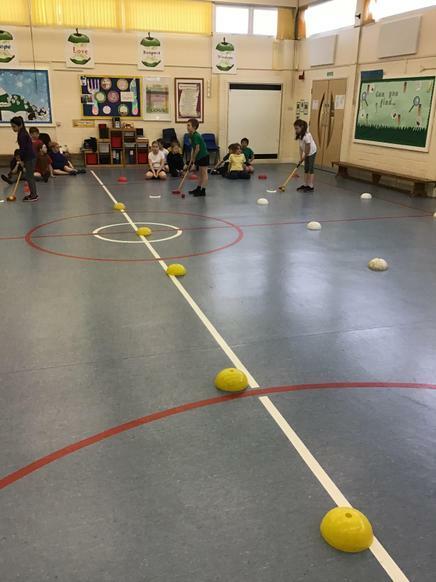 We are very lucky to have a range of PE sessions weekly. 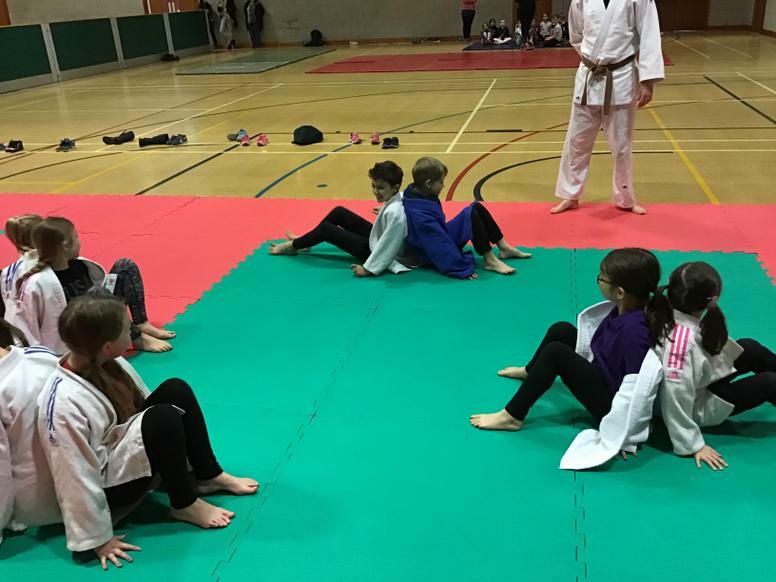 Tuesday we take part in dance, Wednesday we train with the NUFC Foundation, Thursday we learn judo and Friday we practise gymnastics. 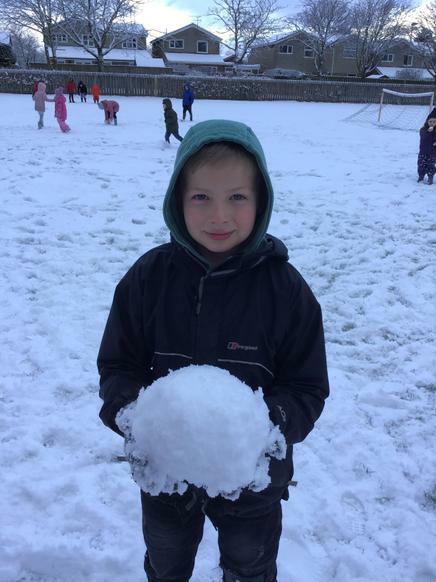 Please ensure PE kits are in school all week so that we can take advantage of the great PE opportunities we are offered. We aim to read with every child at least once a week so please bring in reading books and diaries every day. Water bottles should be filled at home and brought in daily. 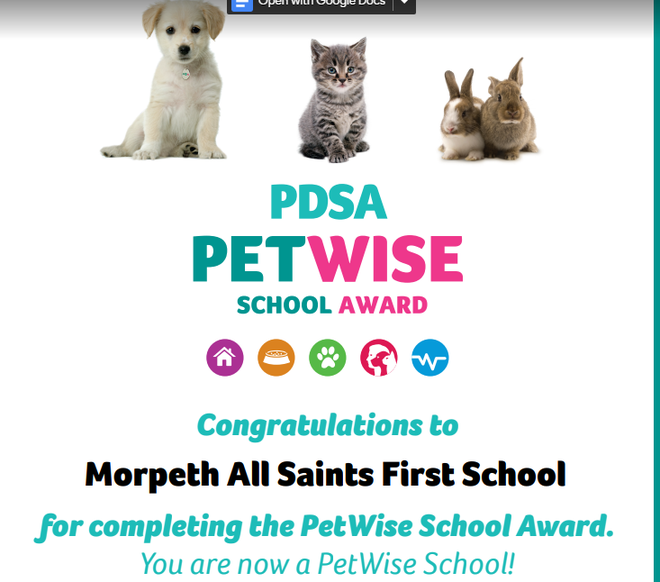 We are a petwise school! We really enjoyed making our mother's day cards this year. 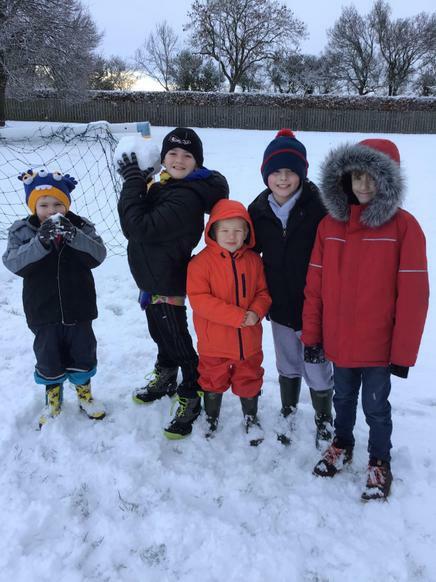 They were a bit tricky but we all tried our best and helped each other when we were stuck. We hope you love them! 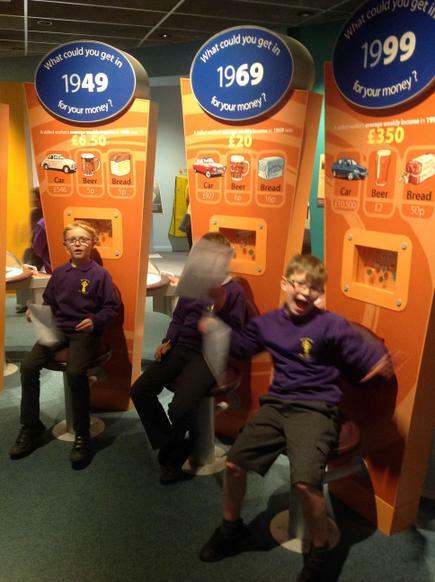 We all really enjoyed taking part in our adventurous activities. We all tried very hard and even if we were scared we gave it a go. 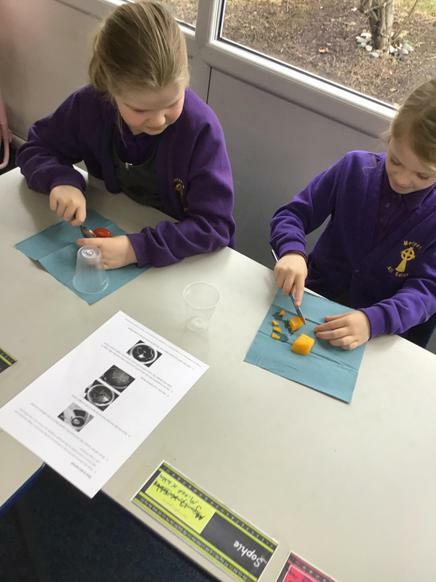 Well done Orange Class! We had so much fun on superhero day. We set ourselves targets and tried to beat them throughout the day. We all tried so hard! 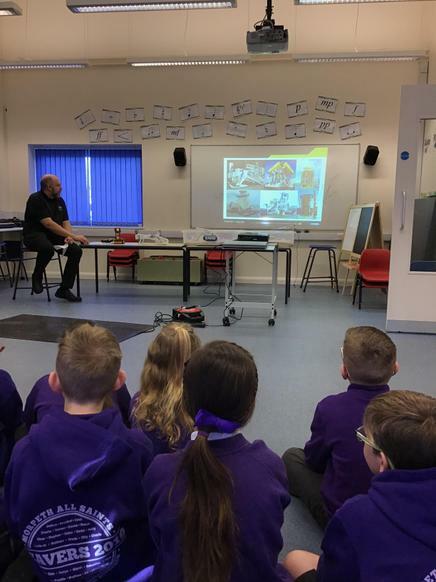 We took part in lots of fun science activities this week and explored lots of very fun careers. 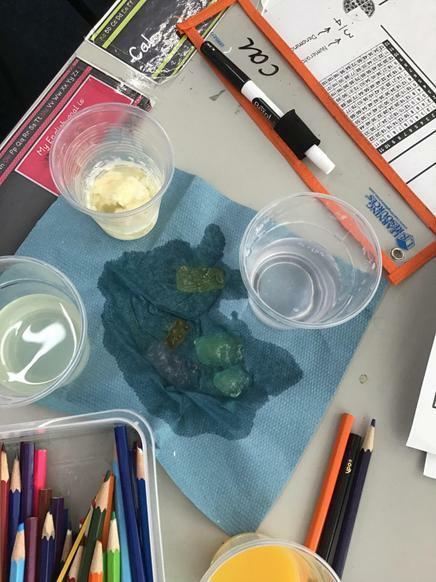 We had so much fun and learned so much. 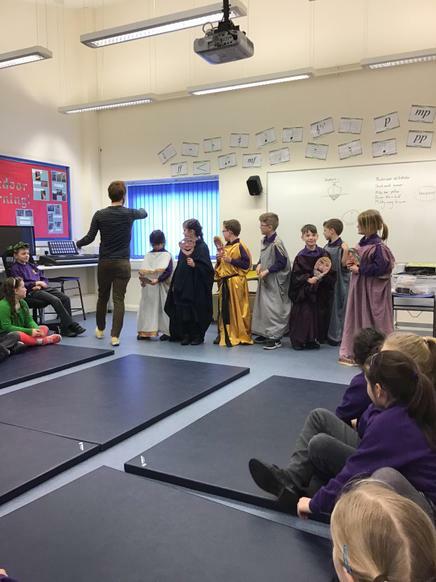 Key Stage 2 were lucky enough to take part in an Ancient Greek day. 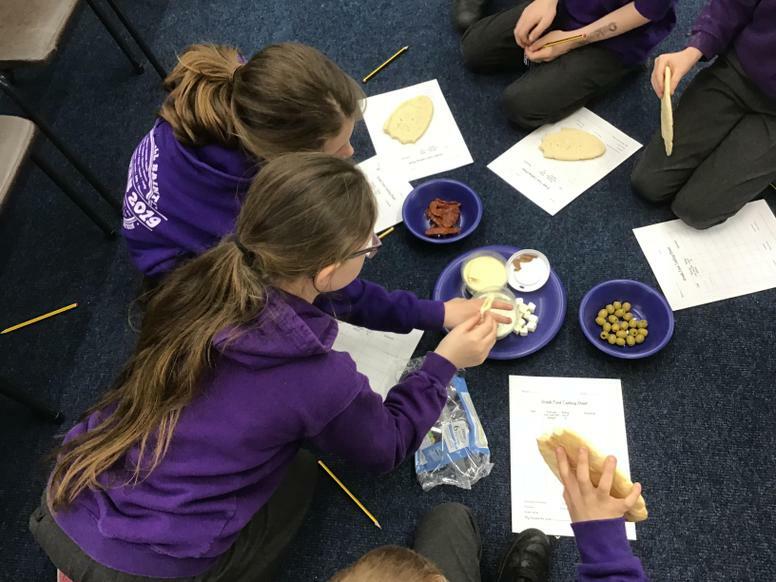 We took part in food tasting, a workshop where we saw real Ancient Greek artefacts and acted out a play inspired by Ancient Greece. 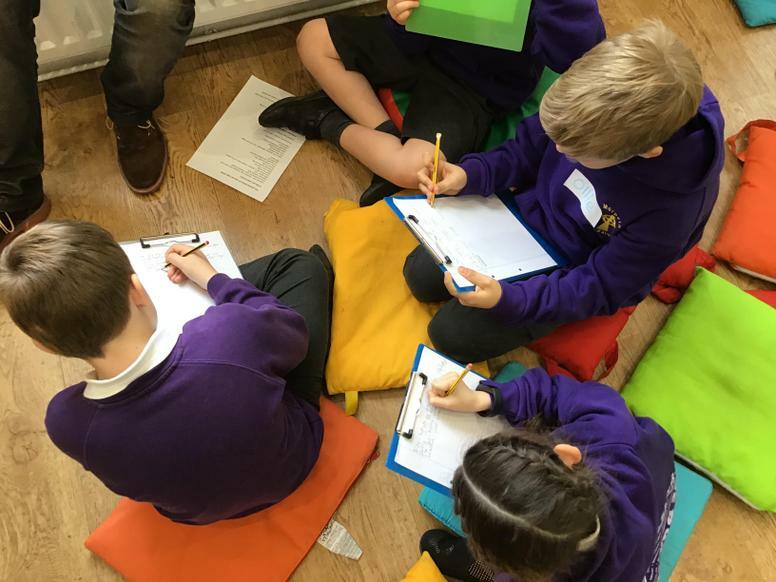 We really enjoyed visiting Live Tales to write a creative story. 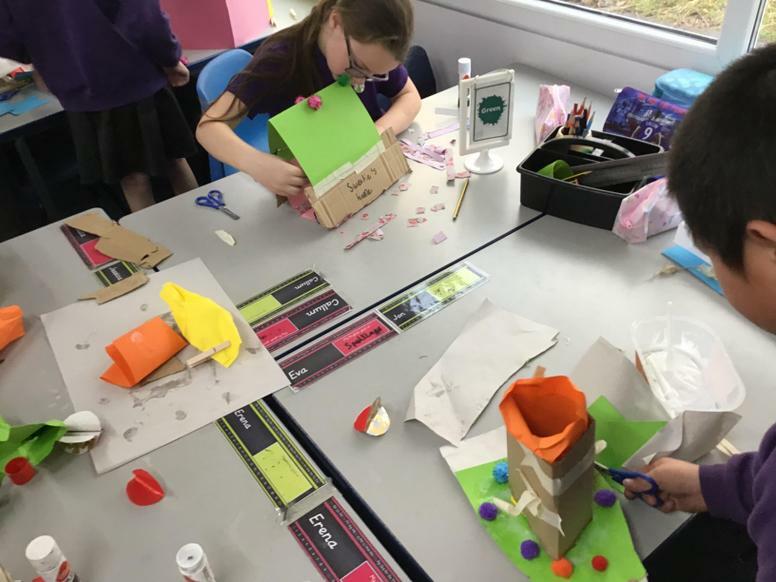 We worked together to create a setting, character and the first part of the story. 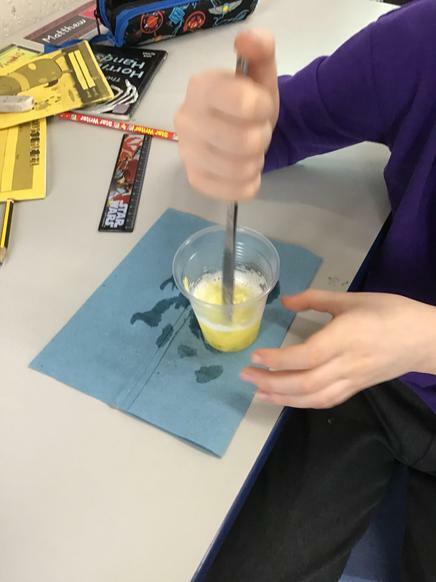 Making ink - following instructions. 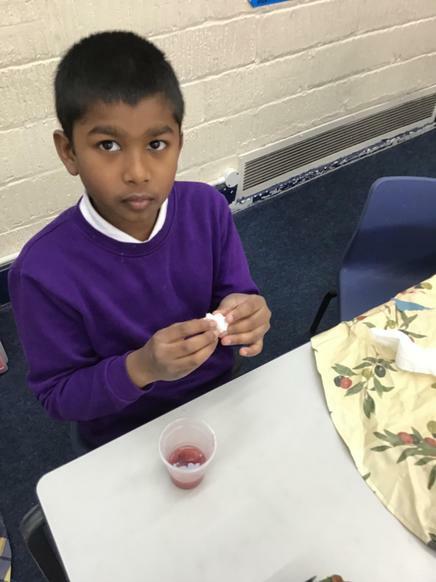 Following on in our English topic we followed instructions just like Brother Theopane to make our own inks from fruit and vegetables we might find in the countryside. 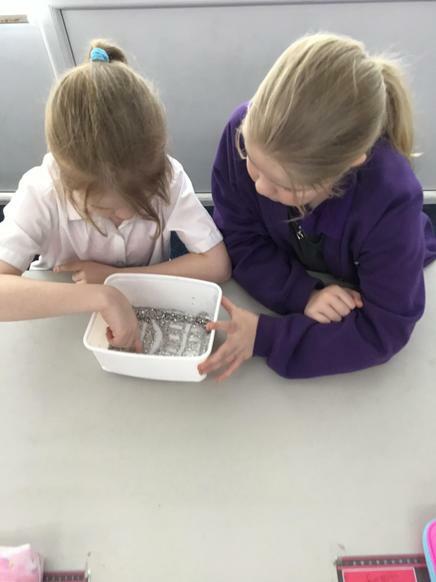 We had to make sure to follow the instructions carefully without any help from Miss Hunt or Mrs Ridley to make sure we didn't make any mistakes. 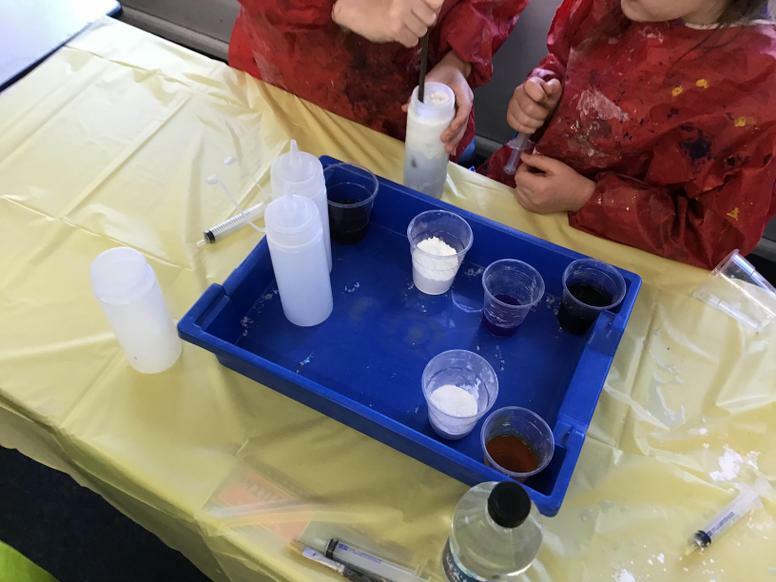 We dyed some cloths beautiful colours to make illuminated letters later on in our topic! Today we spoke about our hopes and dreams during circle time. We spent our time talking about our biggest dream, then we discussed what could possibly stop us from achieving our dream and what we needed to do to get there. We wrote our dreams onto a CD and hung them on our dreams tree. 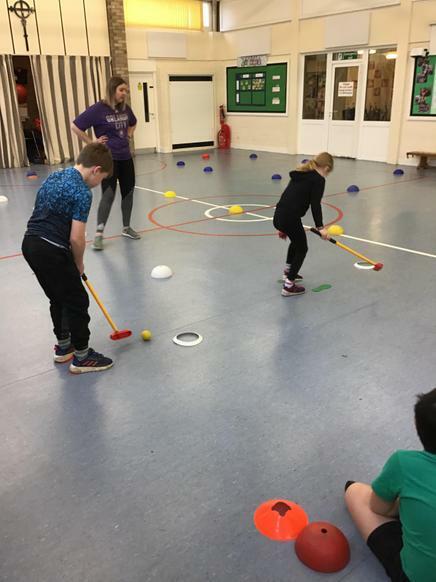 Today we had our first golf session. 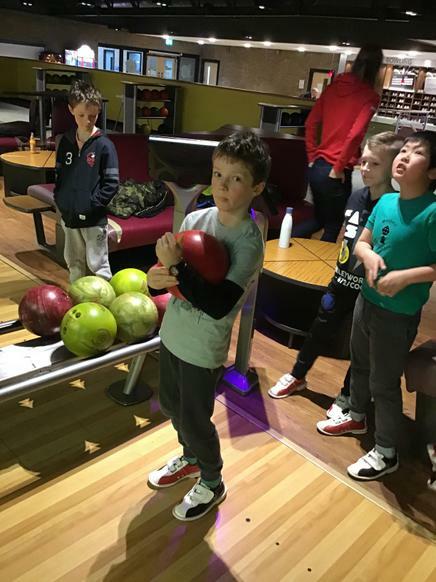 We focused on aiming for a target using our hands, our feet and a golf club. We had to make sure that we were in the zone of safety when we weren't playing and that everyone was always safe. 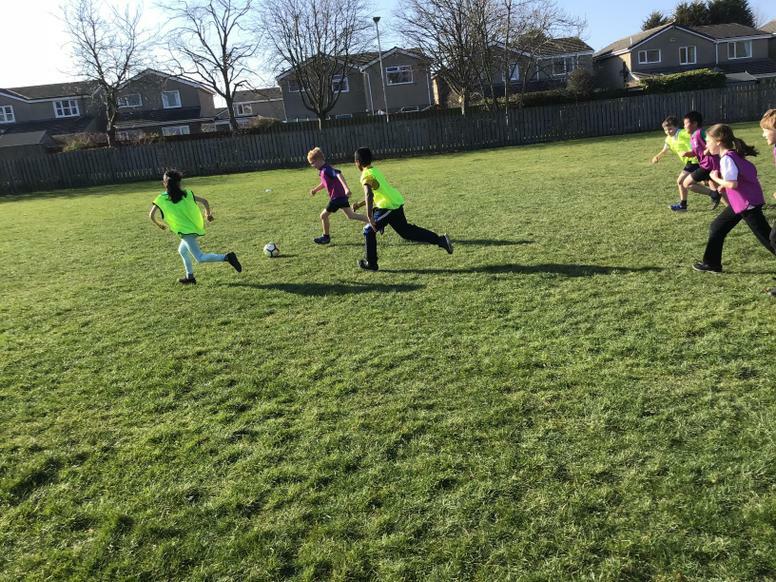 Today we had our first outside PE lesson of 2019. 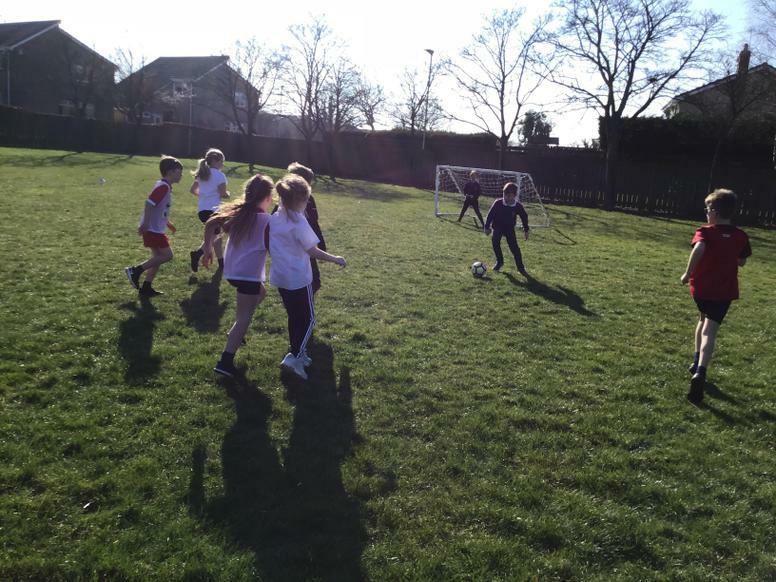 We played football in mixed teams and made sure to work on our dodging and tackling skills. Well done no-bibs for winning the tournament! When researching Ancient Greek leisure we found out that in Ancient Greece only men used to preform in theatres. 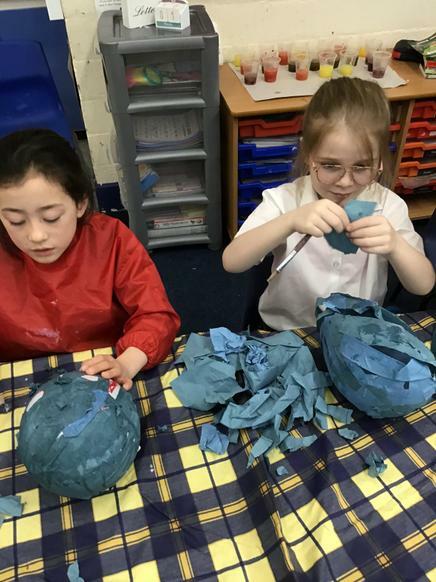 As the Ancient Greeks used to wear masks in theatre we decided to make our own using paper mache. 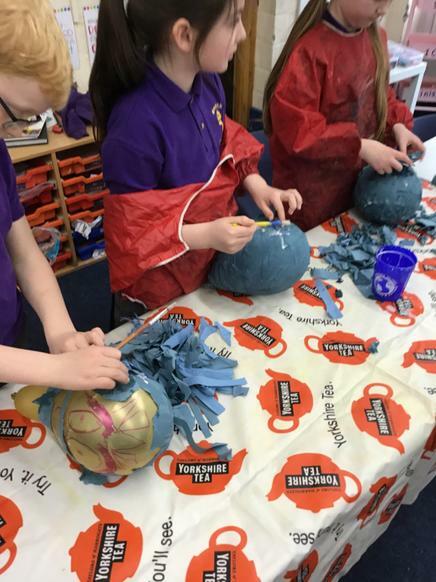 We chose a design and made sure to apply the paper mache carefully so that the balloons didn't pop! 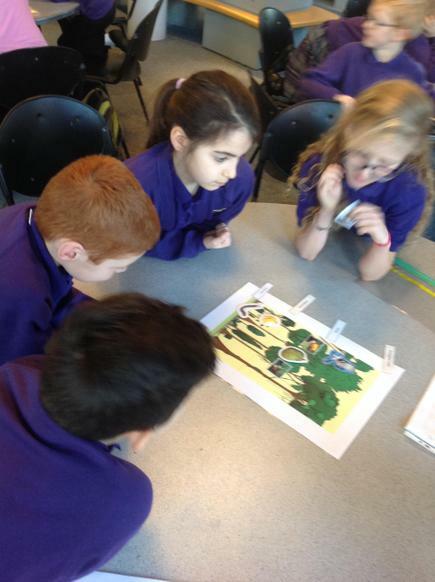 This week we started our new book 'The ink garden of Brother Theopane.' This book is based on a monk who creates beautiful inks from natural resourced. 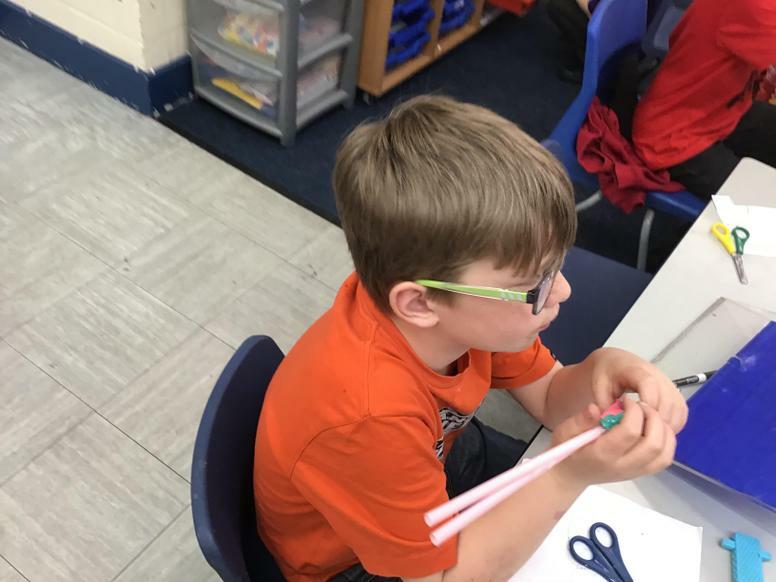 It is part of our instructions and explanations topic. We spent our first lesson using oral instructions to instruct our partner on how to form a letter. 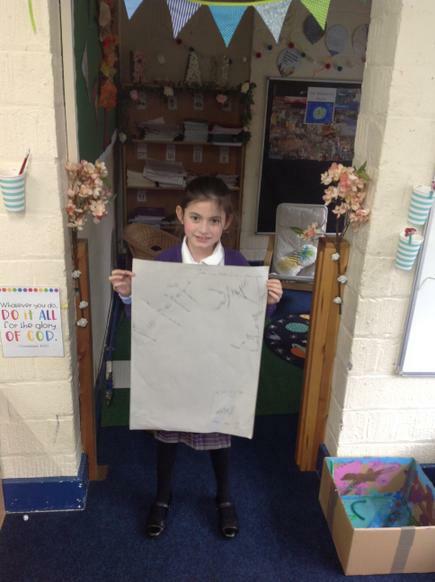 From this we went on to write letters for someone in reception to follow on how to form a letter. 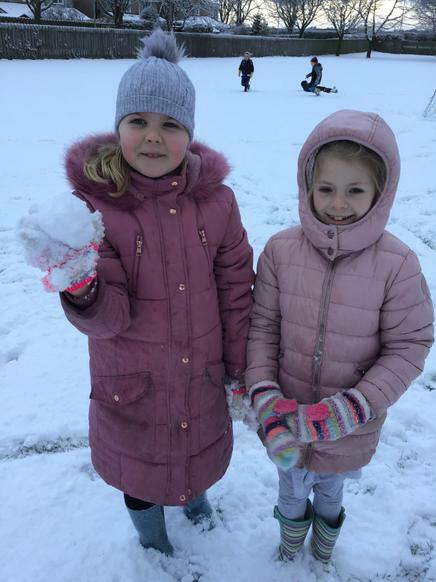 We really enjoyed playing in the snow today. 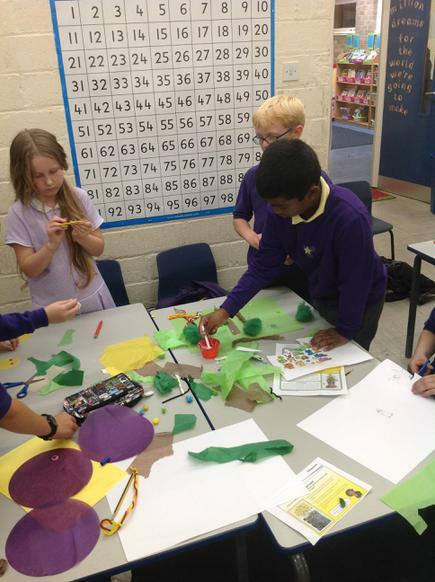 We were tryng to make as many 'spot balls' as we could for our NSPCC Spot Day. 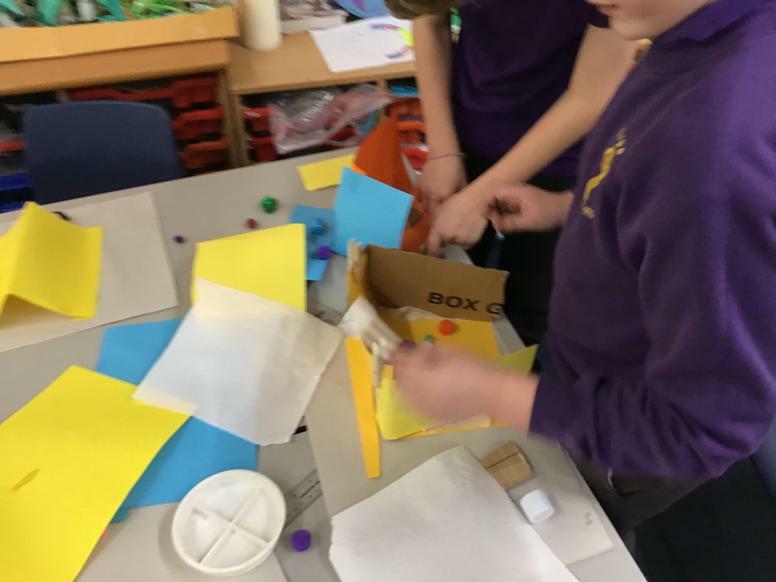 We worked as part of a team to try and make the biggest and best. 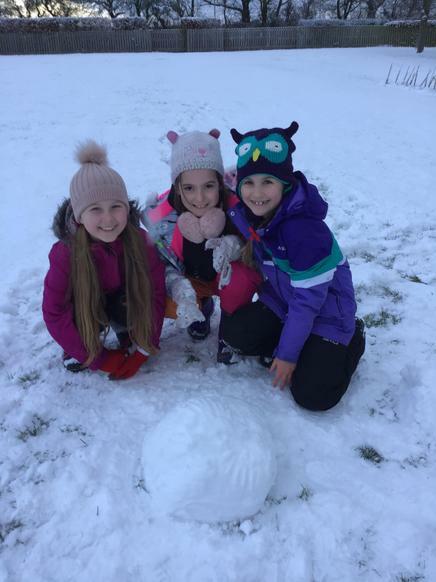 Red and Orange class clubbed together to make a snow family! 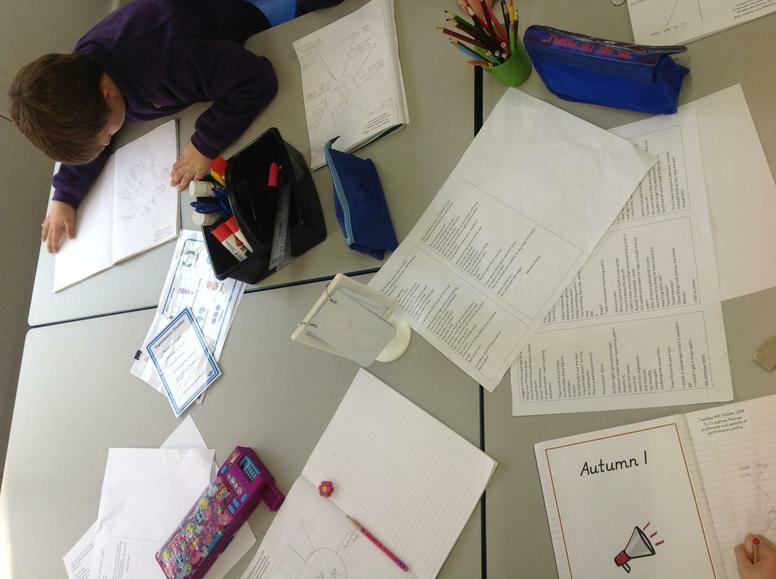 This inspired some lovely winter acrostic poetry and recounts. 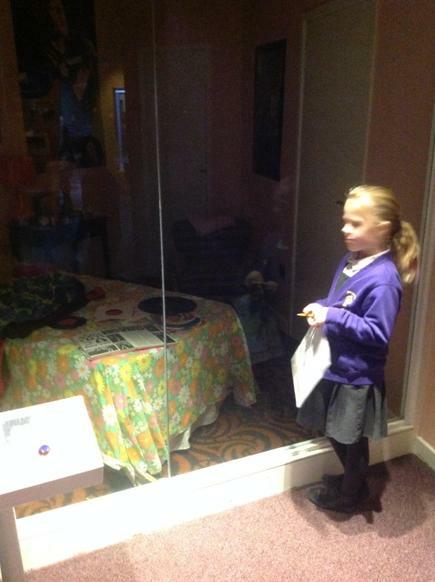 Key Stage 2 were given the very important job of looking after a pet. 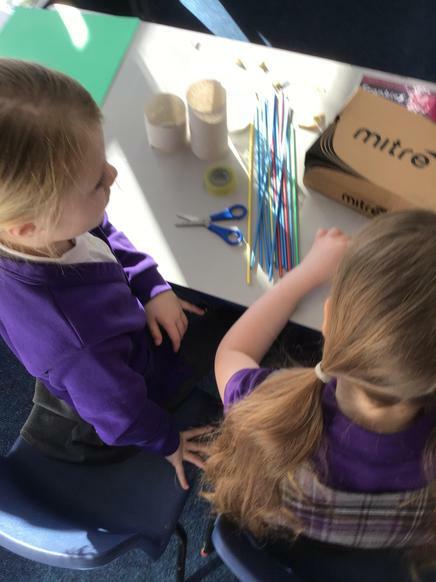 They made a pom-pom pet, a house and talked about what we had to do to make sure our pet was healthy and safe. We all did such a great job! 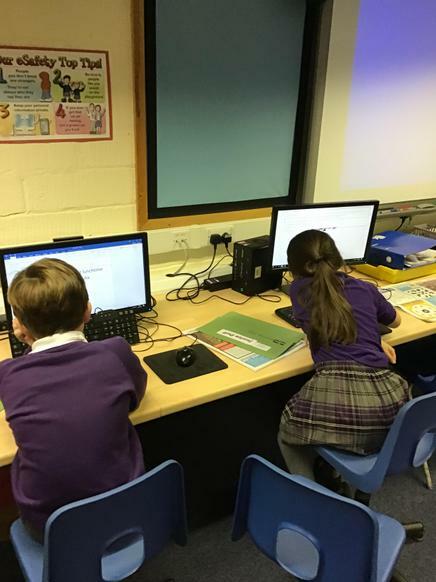 While Year 4 are taking part in P4C year 3 have been asked to write a school newspaper! 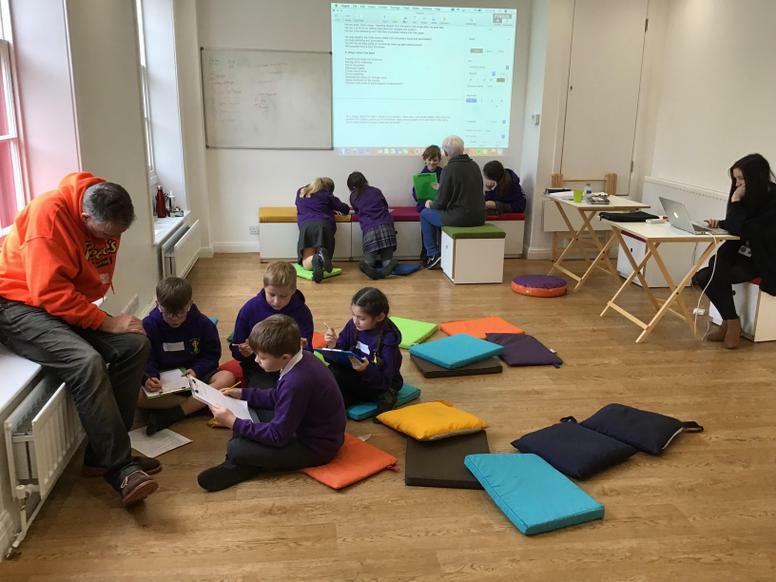 Using there interests and expertese they are creating a newspaper using the computer. 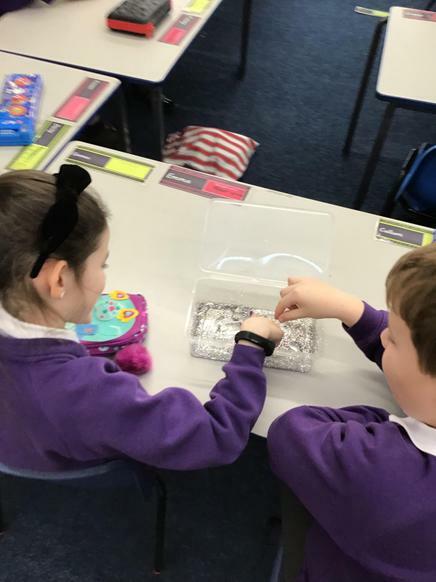 This week we started our new book 'Can you catch a mermaid?' We then wrote a character description about the main characters including lots of amazing adverbs, adjectives and super punctuation! 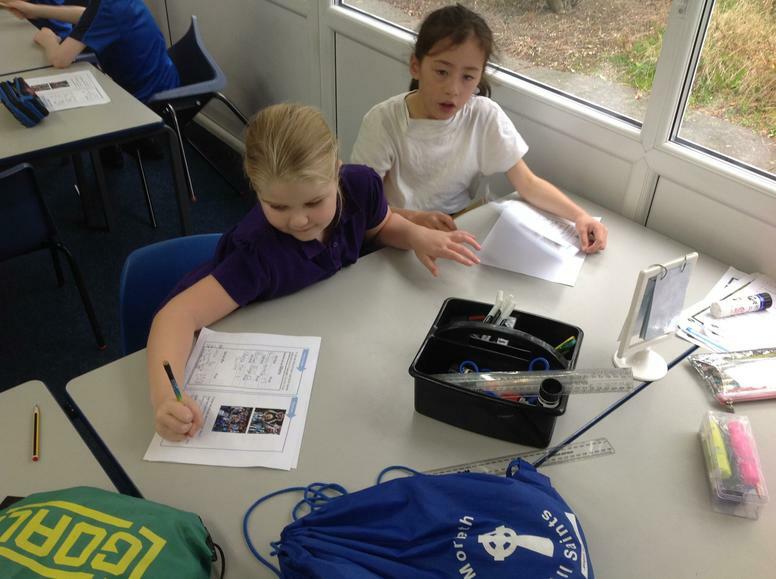 During our first session with NUFC we worked on problem solving skills. 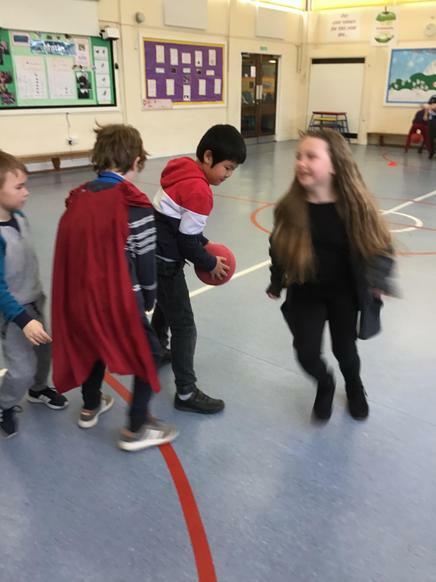 We needed to work out how our group could move ourselves from one side of the hall and back without touching the floor! 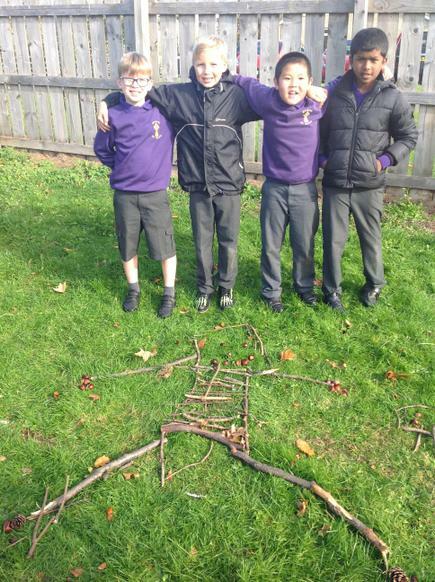 We made sure that we communicated with each other and used team-work skills to complete the challenge. 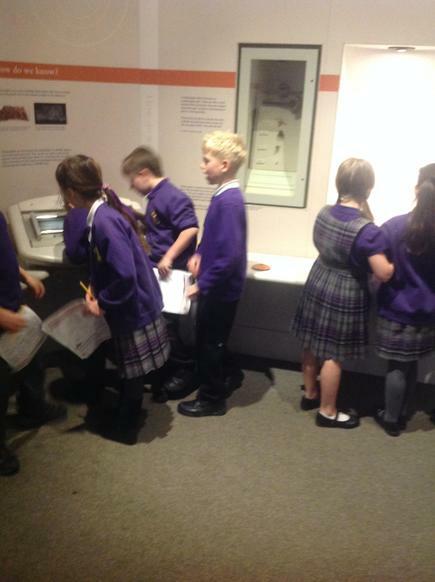 Mrs Ridley and Miss Hunt were so proud of our efforts! 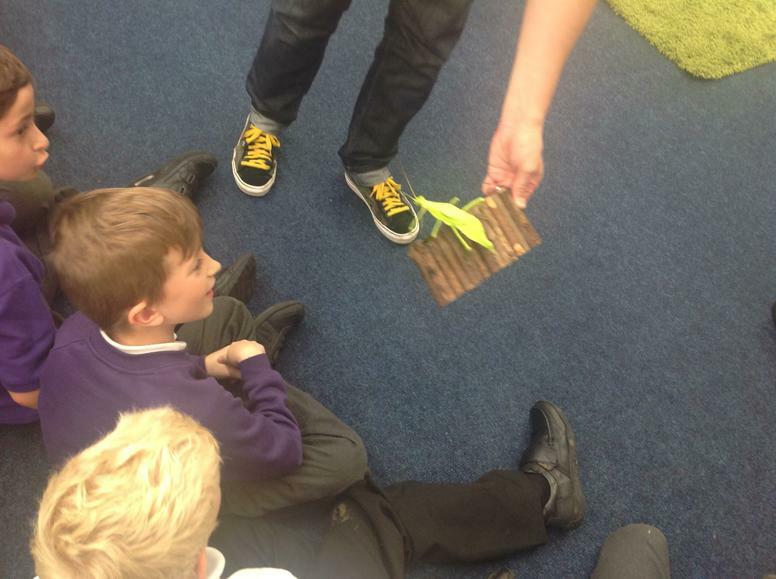 This term we approached silent reading time a little bit differently. 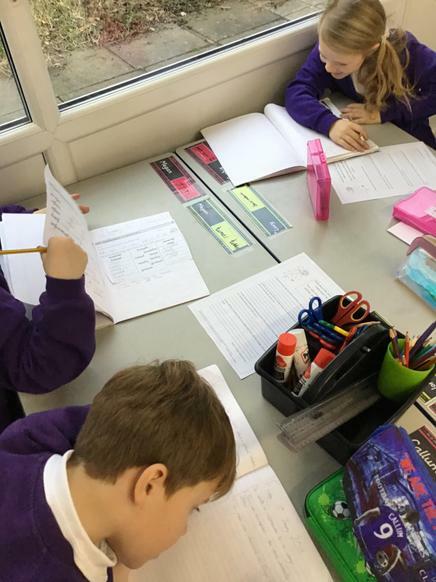 In December we talked about what we liked to read at home and at school so we set up 4 different stations: newspapers, hero of the week, non-fiction and reading with a grown up. 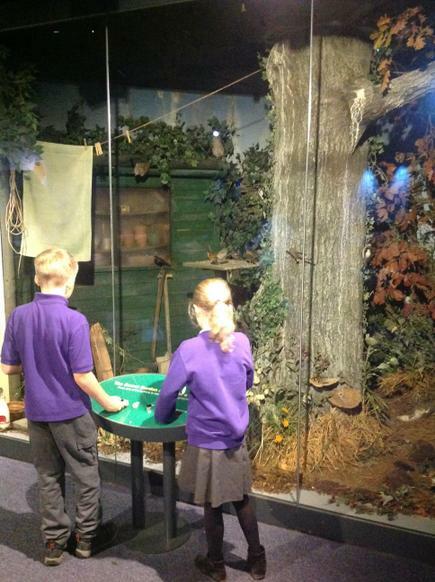 These stations help us to practise our prediction, visualisation and fact-finding skills. We love it so far! 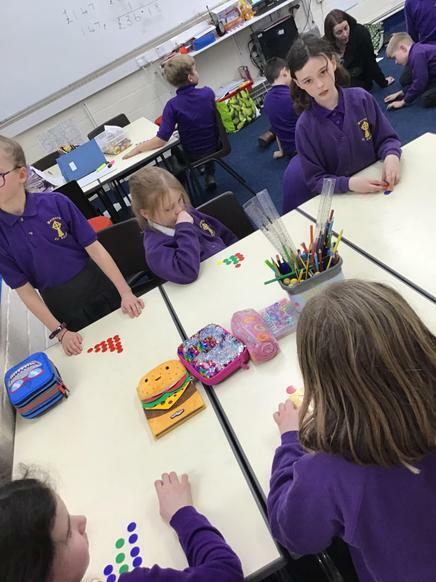 This week in maths we started looking at fractions. We made sure to understand what each number means in a fraction and why it is set out that way. 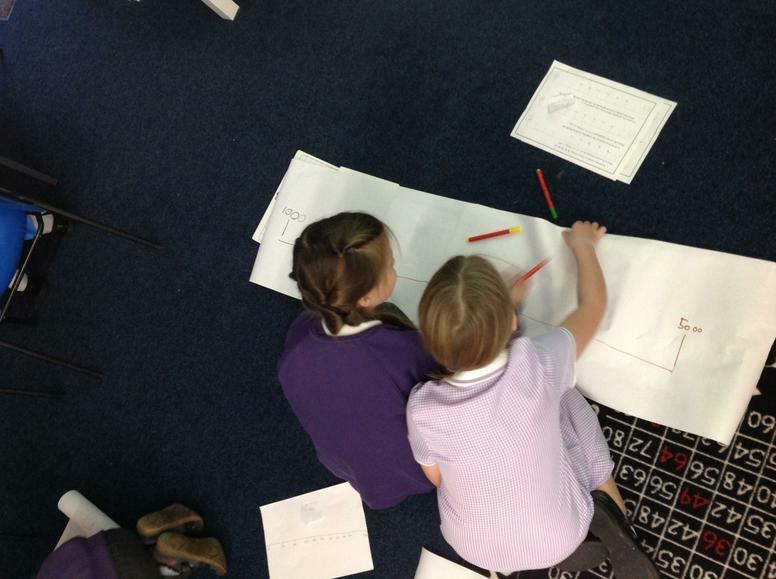 We were superstars when finding a fraction of amount. We were able to use number squares, circles or blocks to help us if we found it tricky! 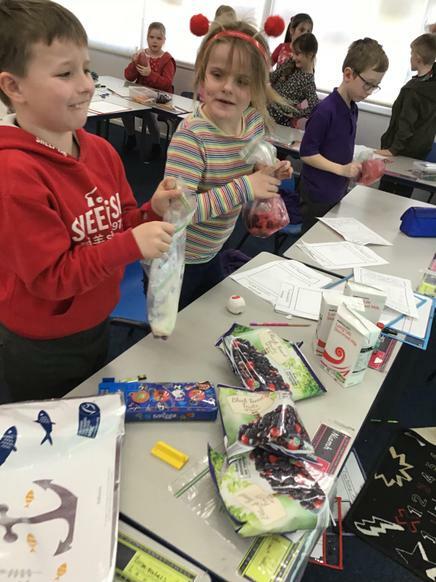 We have lots of exciting learning planned for the spring term. 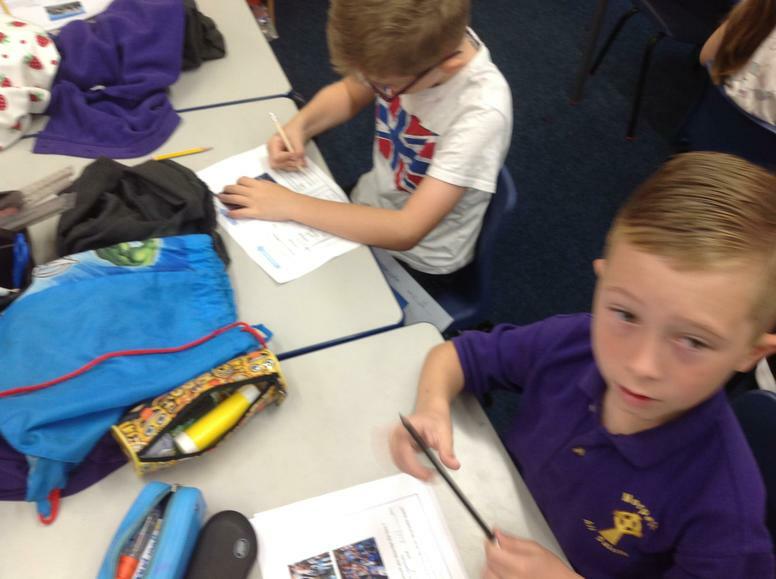 We are starting our new topic Ancient Greece which covers history, geography and art. The pre-learning tasks are available on the website and a copy should be in your homework books. 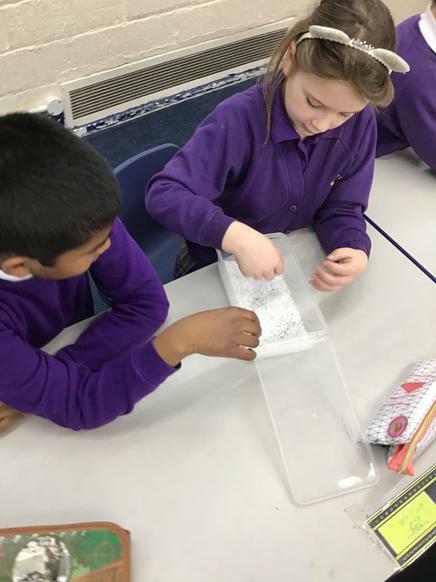 Our science topic this term is sound and we are really looking forward to taking part in very exciting investigations. 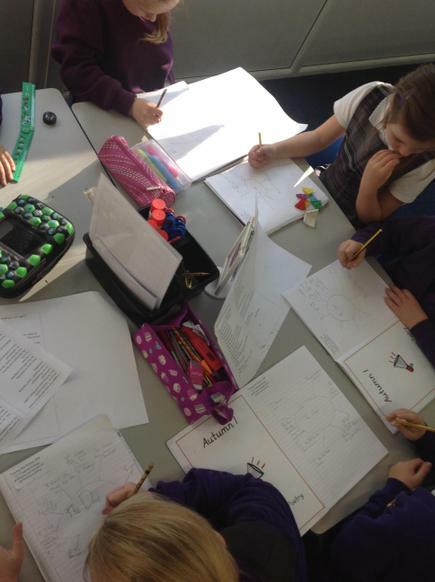 We are exploring decimals and fractions in maths this term. 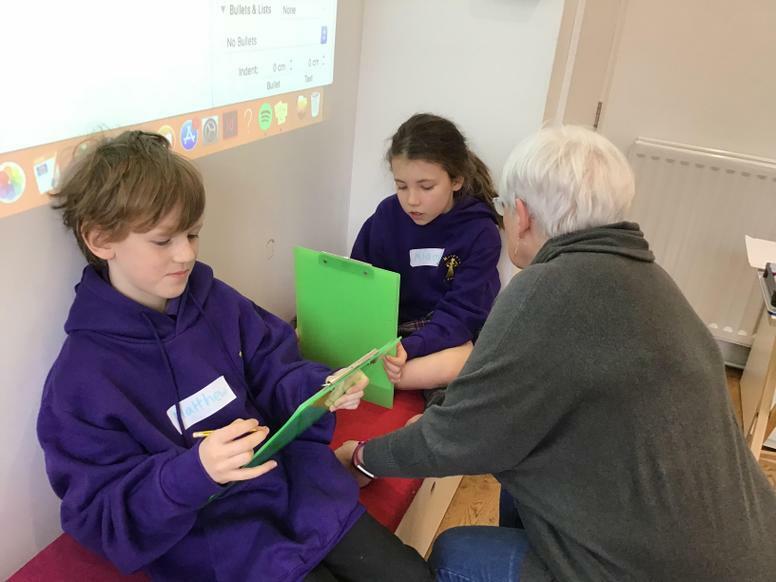 You can always practise your times tables on Times Table Rockstars to help. Our first new text that we are using in English is called 'Can you catch a mermaid?' 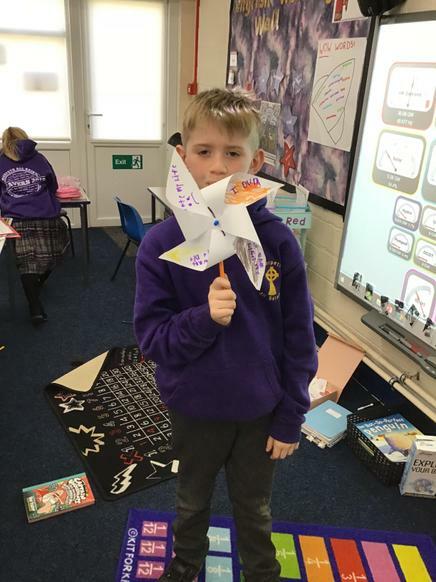 It is part of our myths and legends topic and I am looking forward to reading the interesting mythical creatures that orange class will create to use in their very own myth. 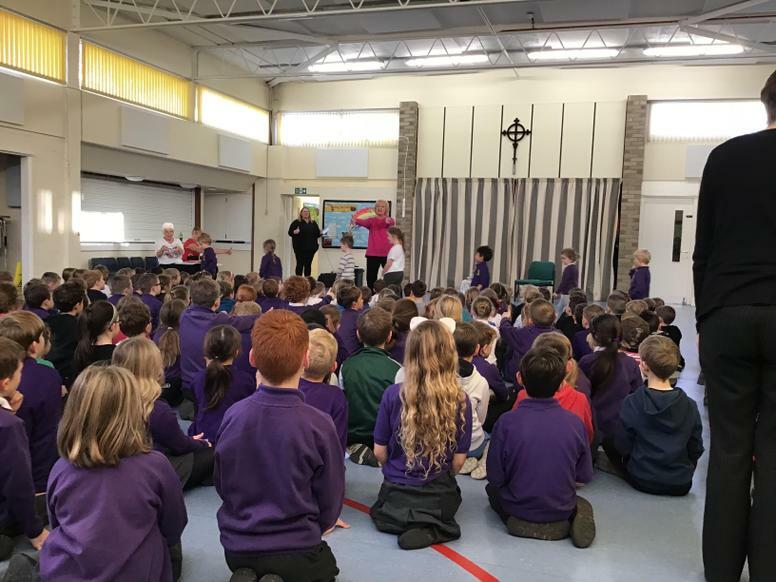 Morpeth panto came to visit us this week. We were able to watch a very funny performance that had lots of hilarious characters. 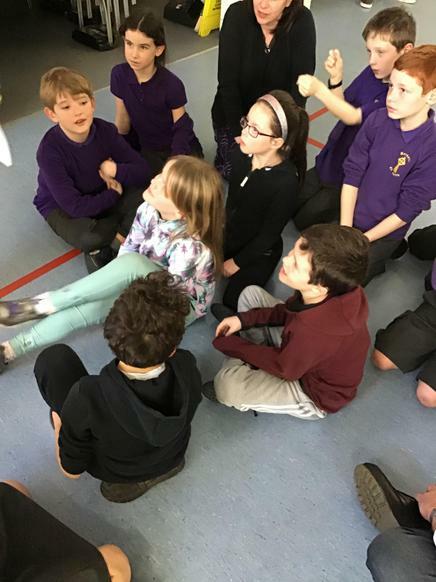 Afterwards we had a workshop to help us with our acting skills. It was very helpful and lots of fun! 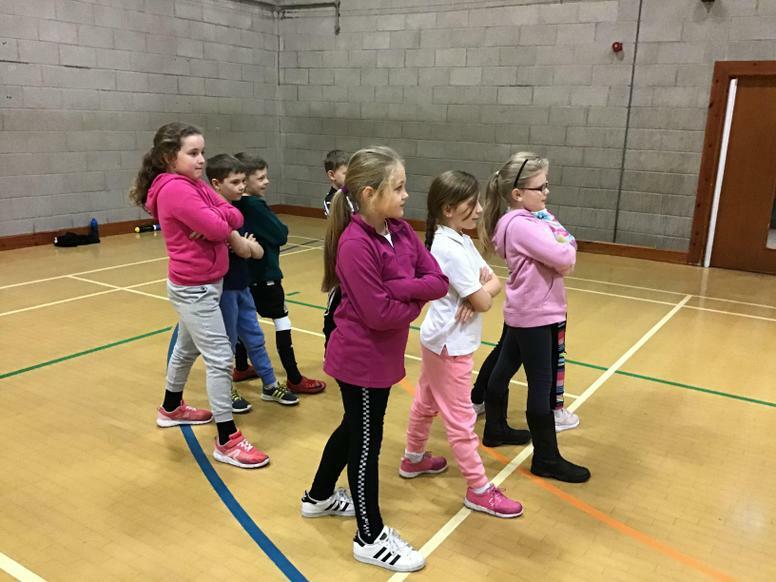 Year 3 were lucky enough to be invited to the multisports festival at Morpeth leisure centre. 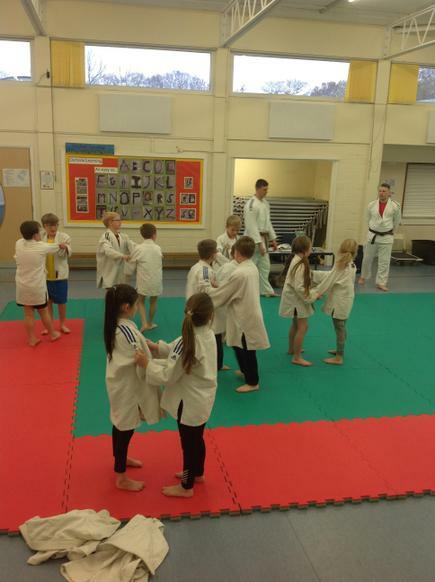 They took part in dance, judo and rhythmic gymnastics. They all tried so hard! 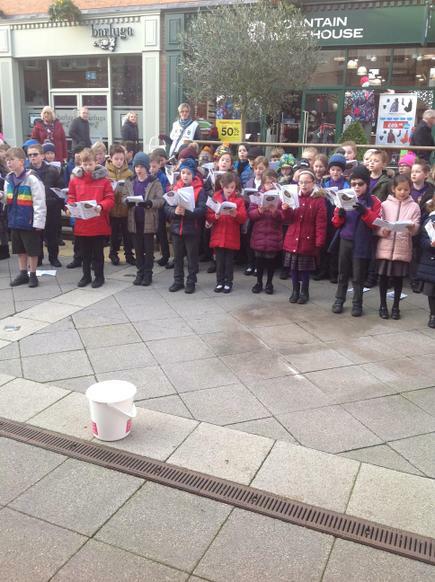 We all really enjoyed singing Christmas carols in the arcade to raise money for the RNIB. We made sure to sing with extra clear and loud voices for everyone to hear us. Even though it was chilly we all made a great effort. 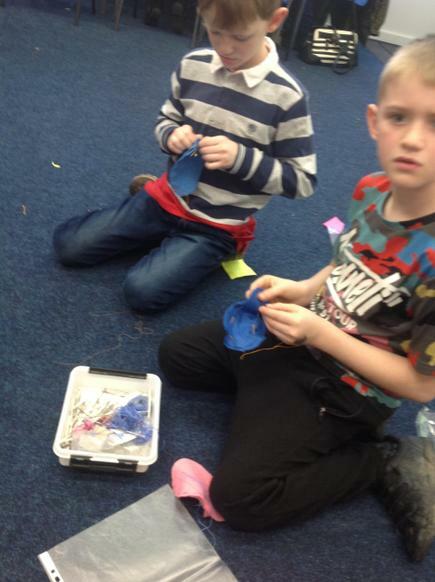 We were superstars sewing our poison dartfrog beanbags. We had to make sure to listen to our grown up carefully and make sure we knew where leave room to put in the stuffing. 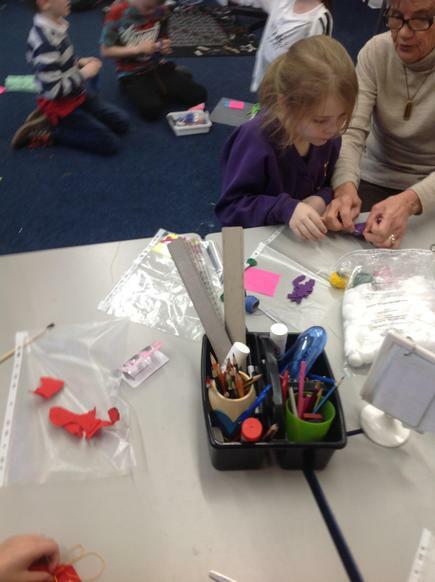 We all made a super effort and are very excited to decorate them with lovely patterns. 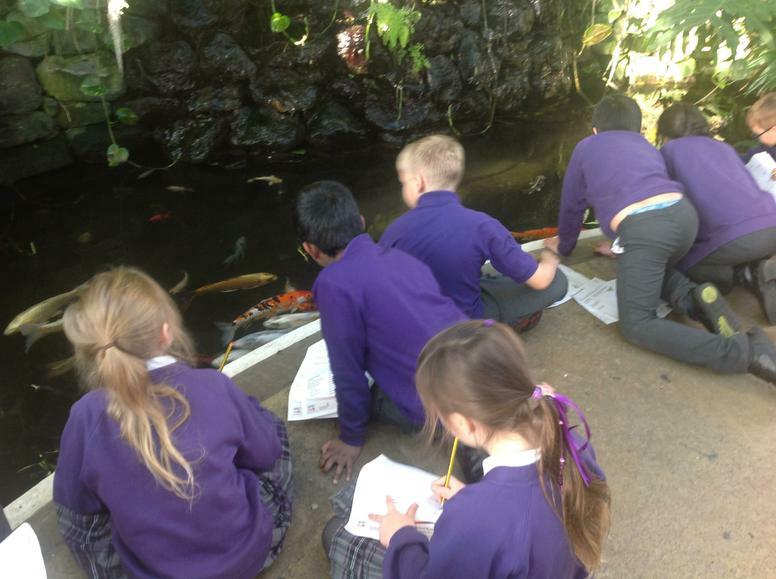 Key Stage 2 really enjoyed our trip to the Sunderland Wintergardens. 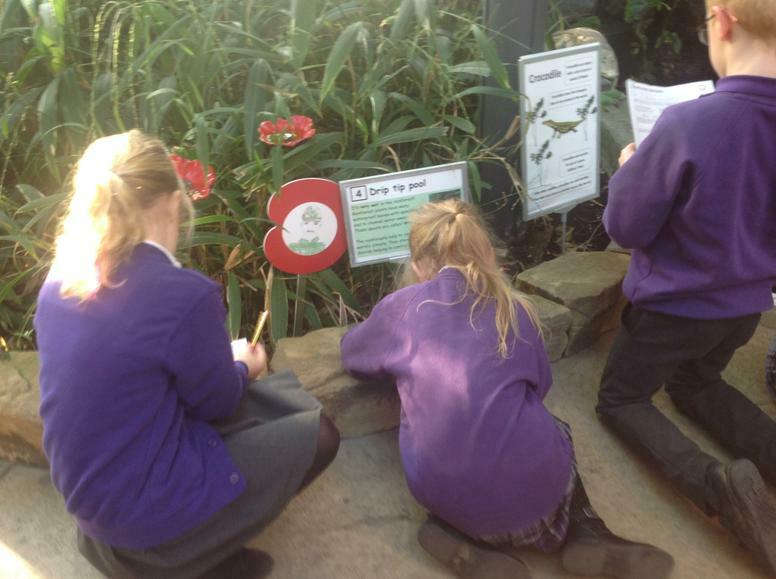 We all attended a workshop based on plants in the rainforest, a trail and enjoyed time around the museum. 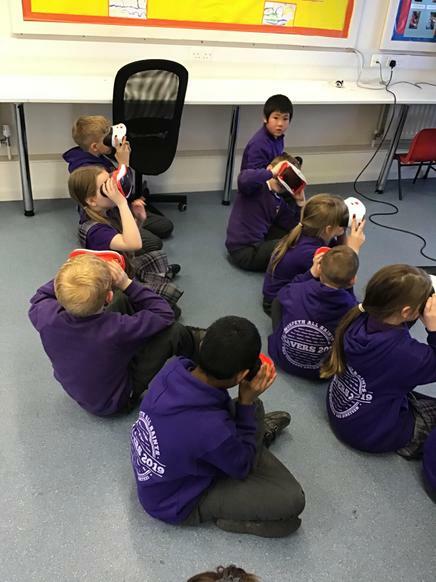 We found out lots of fun facts that we can use in our topic lessons and all felt so lucky to be able to experience what it is like to be in an actual rainforest! We really enjoyed making festive decorations for our family this week. 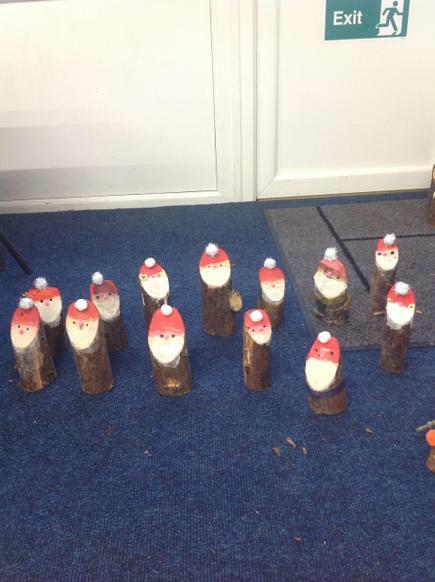 We wanted to link this with our outdoor learning and found these lovely santa logs. 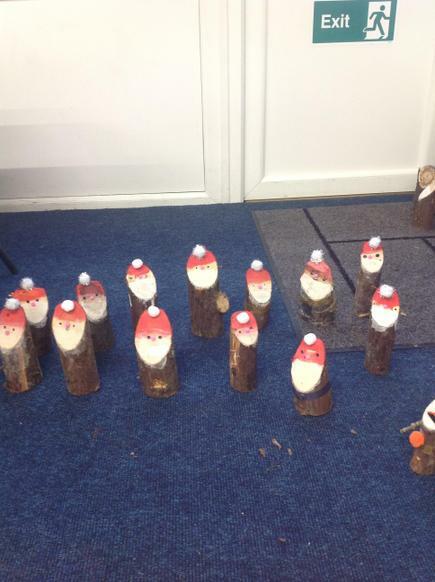 We made these using paint, pom-poms and google eyes donated by the Naylor family and the Owen family! We are so grateful and think they look great. 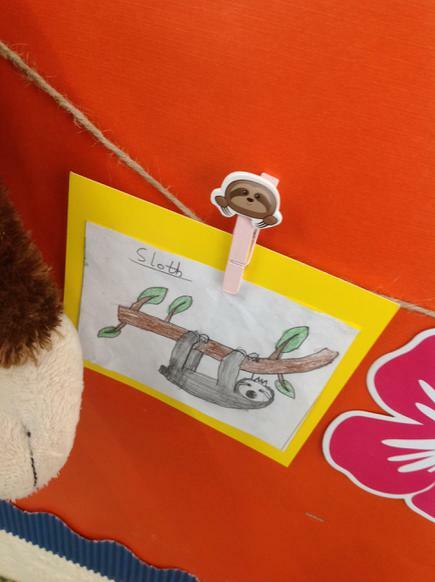 This week we use a classifying key to find out about different animals. 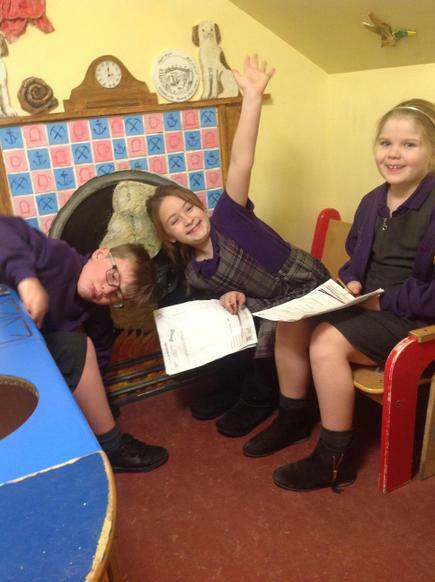 This was a little bit tricky but we tried our best to make sure that we were answering the question correctly. 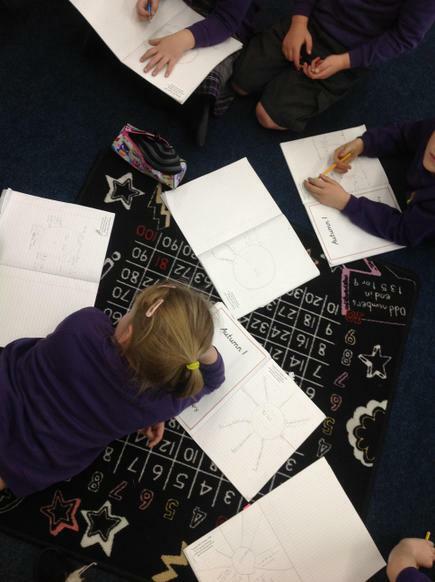 Today we started writing about our new book The Hole. We focused on making notes about each page and changing them into paragraphs. We made sure to add adverbs, adjectives, punctuation, conjunctions and similes to make our writing the best that it could be. 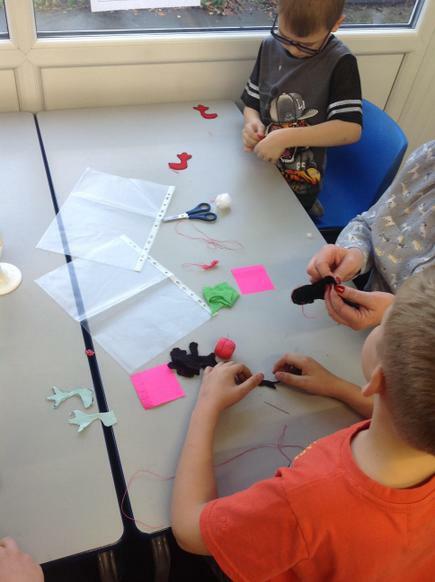 We have finally started making our poison dart frog bean bags. Today we cut out the templates of our dart from on felt using special fabric scissors and making sure that we followed the lines carefully. 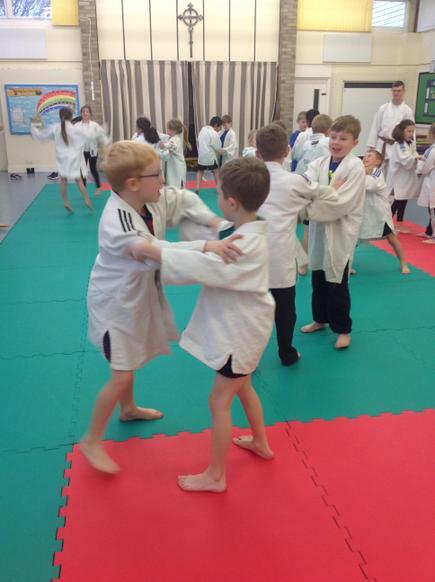 Orange class are lucky enough to take part in a Judo workshop fortnightly. 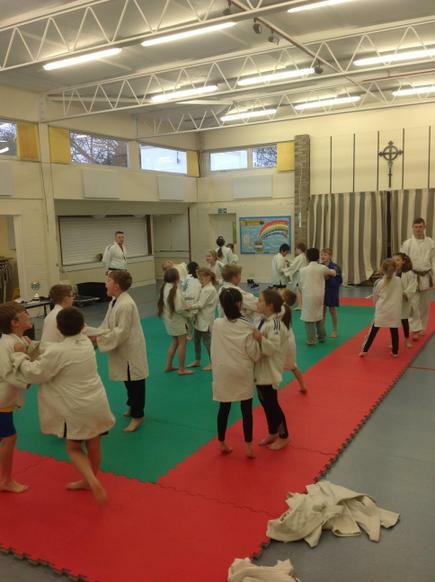 They are taught how to safely take part in judo and the history behind it. 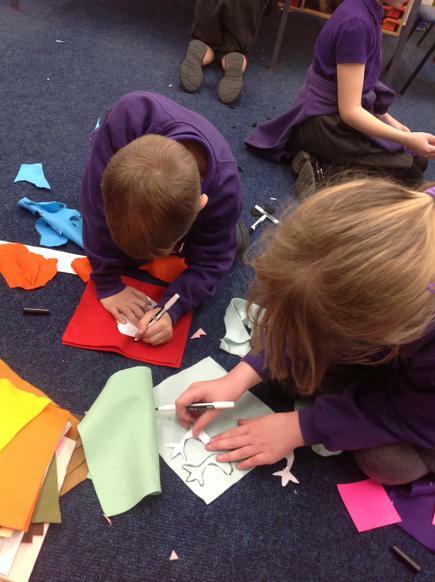 Children worked in pairs to practise what they had learned. 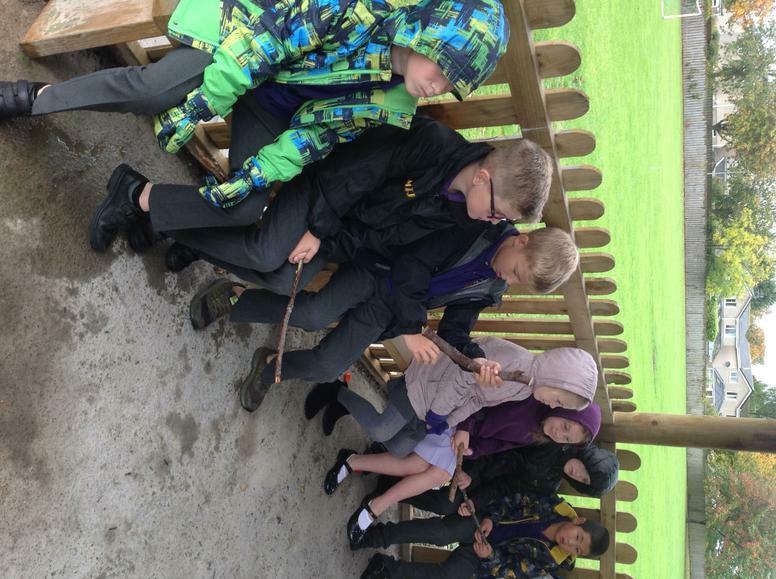 Orange class have really enjoyed taking part in outdoor learning every fortnight. 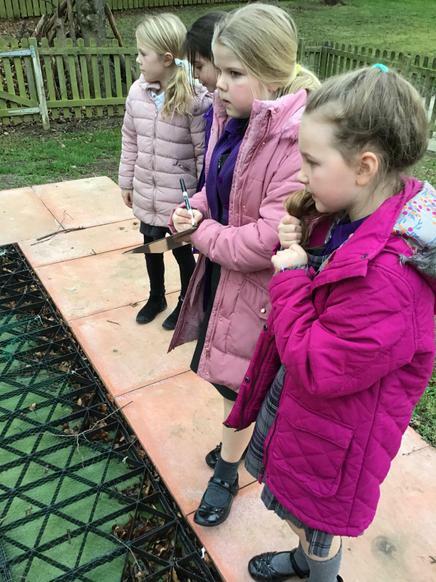 With the help of Mrs Calvert they have enjoyed exploring our environment, making art from our environment and identifying how it can help us in the classroom. I am so proud of their determination and great work ethic (even in the rubbish weather). 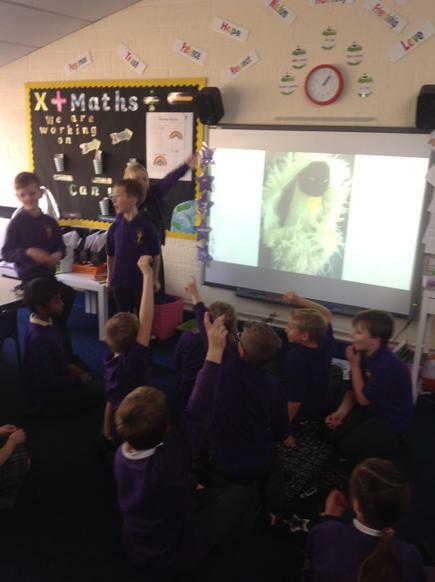 Orange Class take part in Show and Tell on Friday afternoons. We spend some time talking about the things that our friends have done this week to make them feel proud. Some children bring in medals, pieces of writing they have completed or some exciting information they have found about our topic. 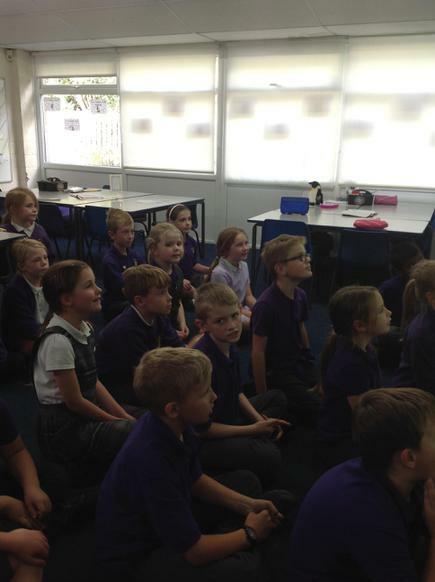 In our performance poetry topic we listened to poems by Michael Rosen. 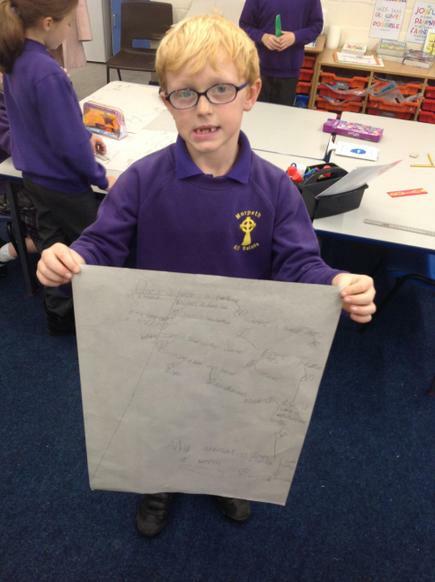 We then made mind maps about the things we liked about his poem and how it was different to other poems we had heard of. 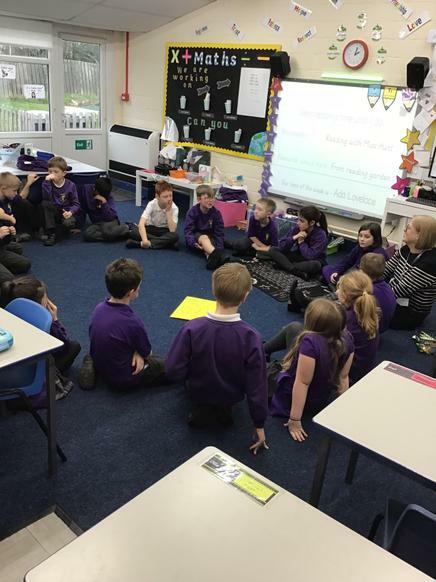 We worked in small groups to do this and shared ideas together. 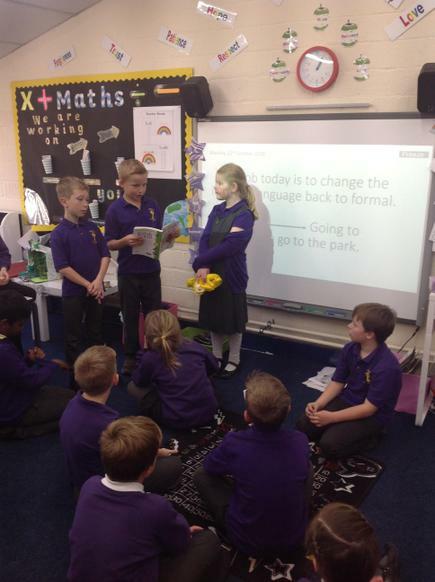 Orange class really enjoyed their performance poetry topic. 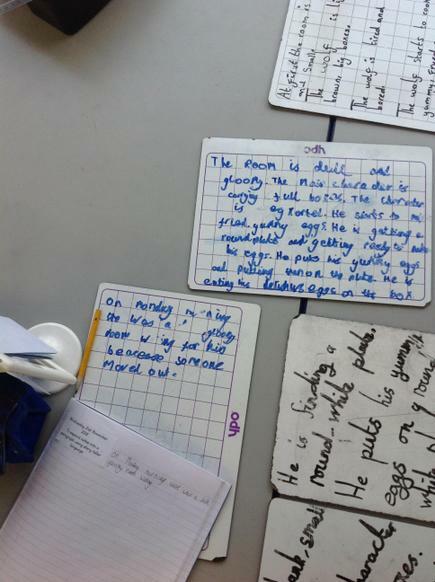 We worked really hard spotting punctuation used in poetry and how rhythm and rhyme can make our poems better. 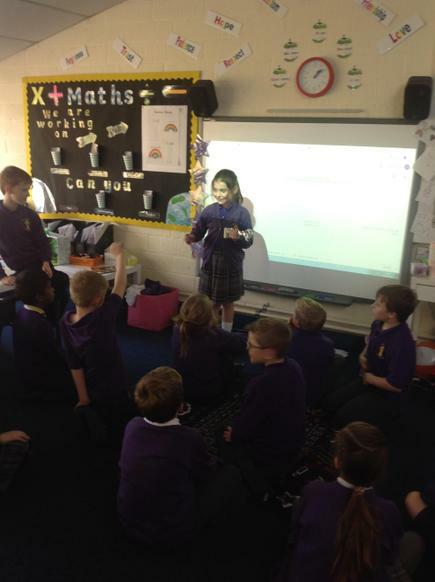 We ended this topic by making a rap with one of our friends and sharing it with the rest of the class! This week we have been focusing on compact addition. We are all learning about the importance of using our place value to make sure that we avoid silly mistakes. 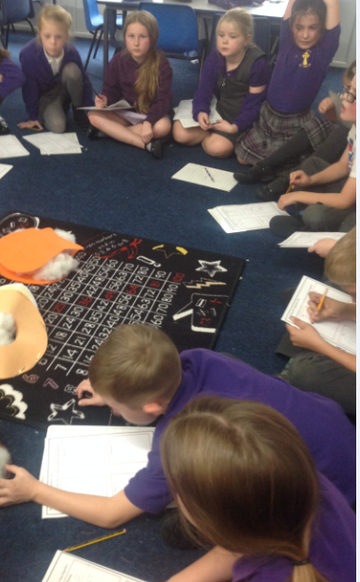 We really enjoyed using spinners to create our own 3 digit questions in pairs. We then made our own spinners to challenge our friends. Year four are really enjoying their pocket trumpet lessons. 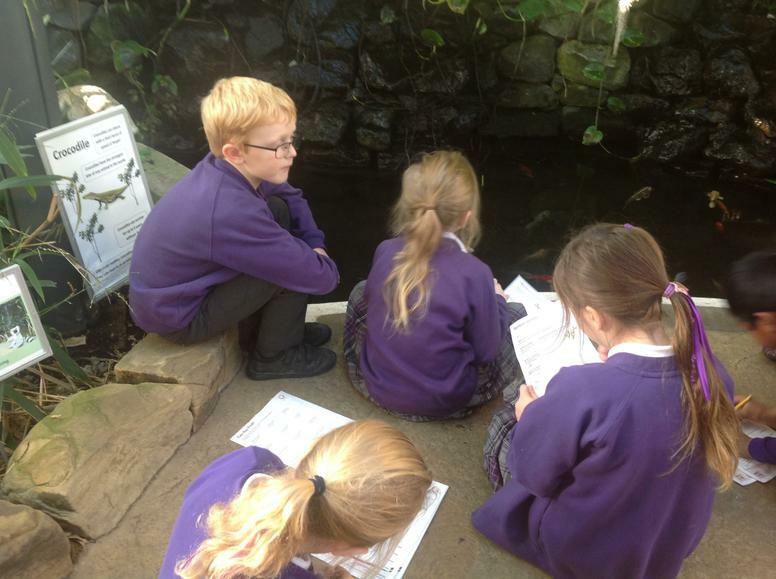 They understand the importance of listening carefully, deep breaths and concentration. 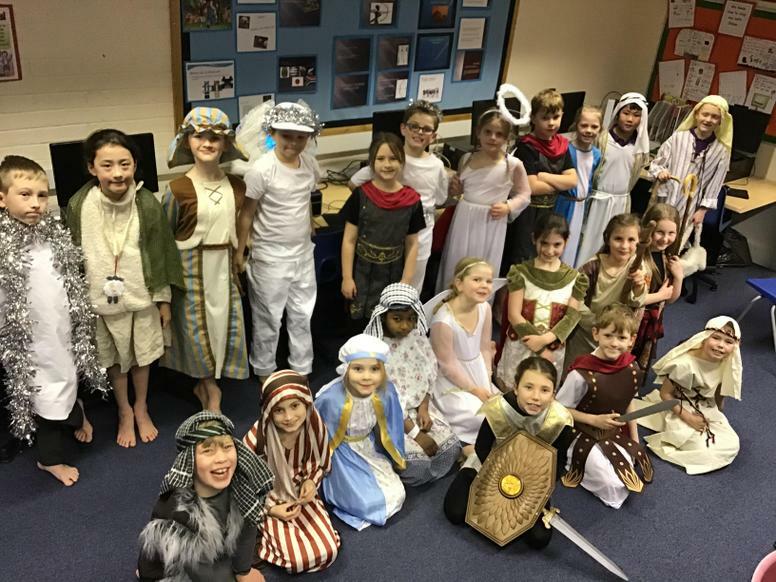 Year 3 are very excited to see their preformance! 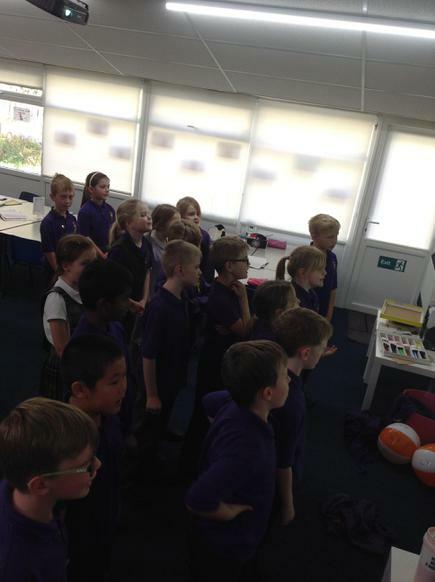 Orange class have recently been taking part in 10 minutes of yoga a day. 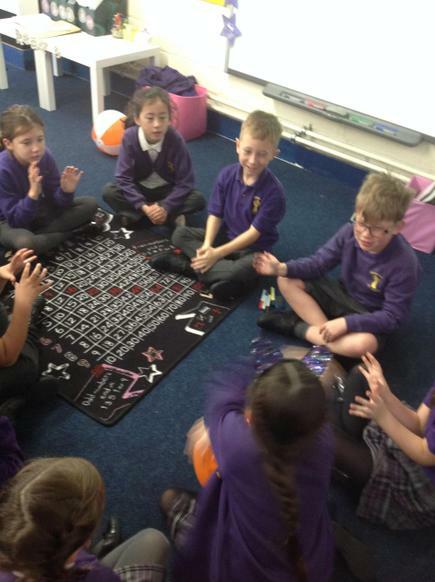 We think this is a great brain break and we all concentrate very well! Some of the poses are tricky but we all make sure to try our best. 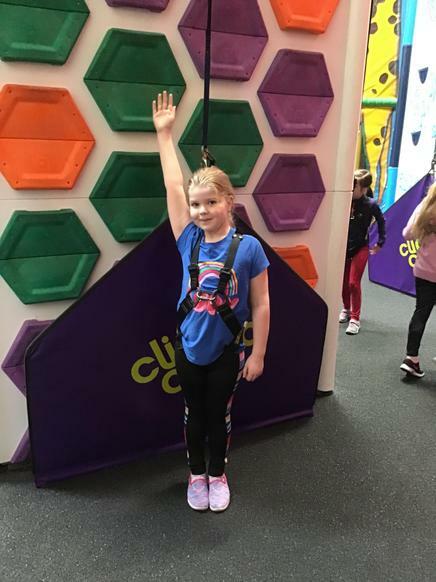 We love using Cosmic Kids click HERE to see what we follow. This week our focus has been making sure that our sentences are perfect! 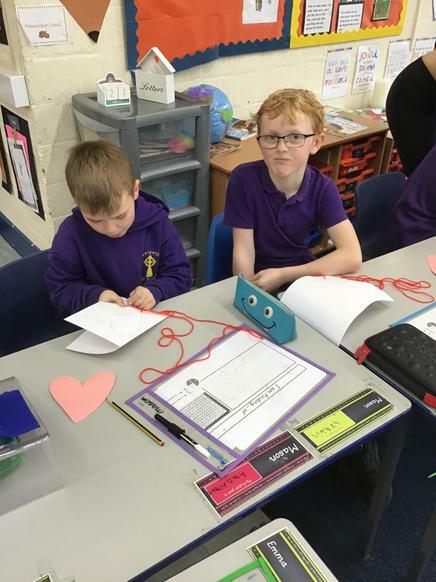 We made sounds to represent a comma, full stop, capital letter and a conjunction to make sure we could read back our work and check they were in there. We love this method of self-checking out work. 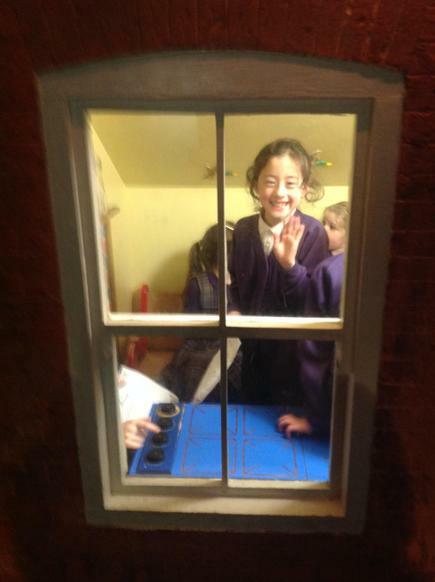 Miss Hunt and Mrs Ridley have already seen an amazing improvement. 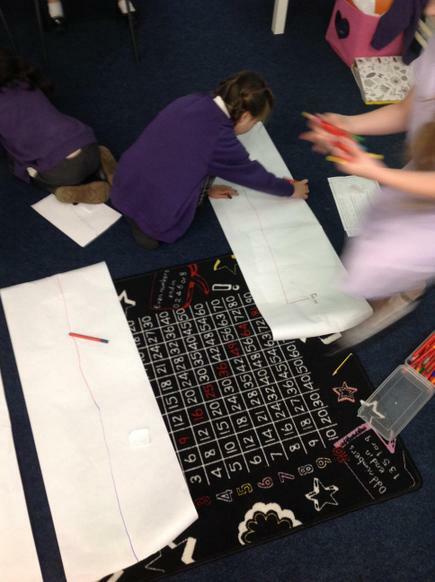 This week in maths we are focusing on plotting numbers on a numberline. 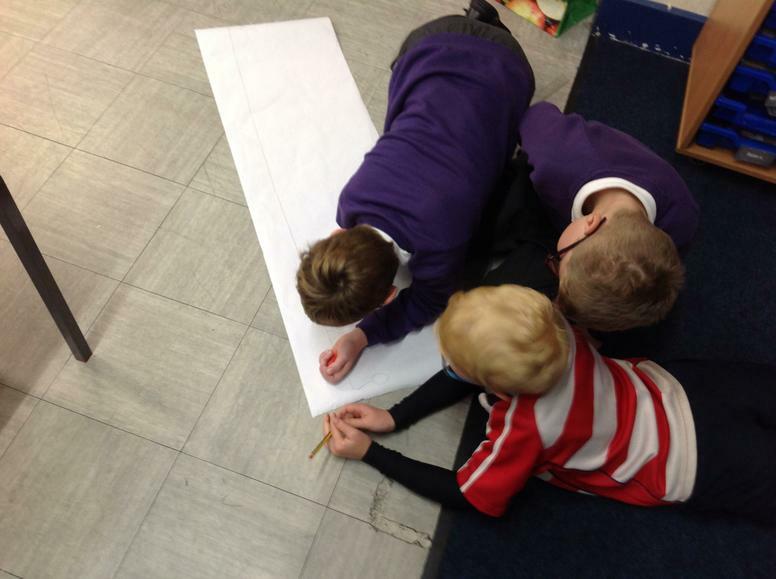 We used rolls of paper that were bigger than us to plot numbers up to 8000! 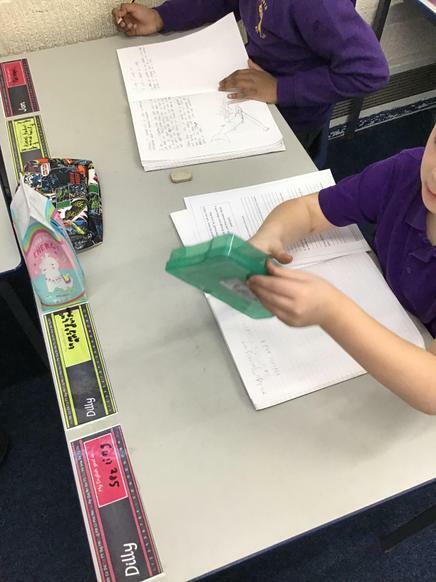 Using our place value we were able to make this a little bit easier for ourselves and all made some lovely number lines that we can use to help our maths work this week. 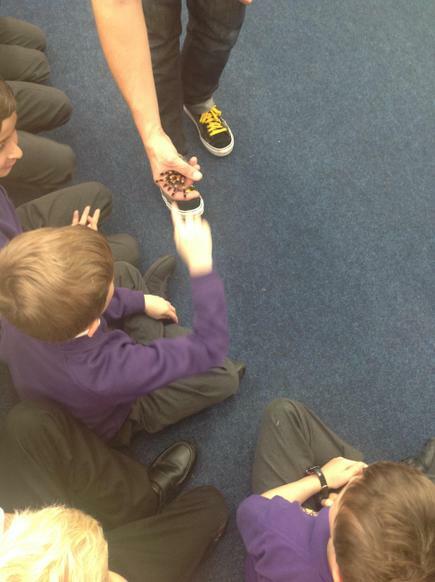 Year 3 and 4 were lucky enough to meet some very creepy crawly visitors today. Guy from Bugs n Stuff came in with his amazing array of creatures from the rainforest. 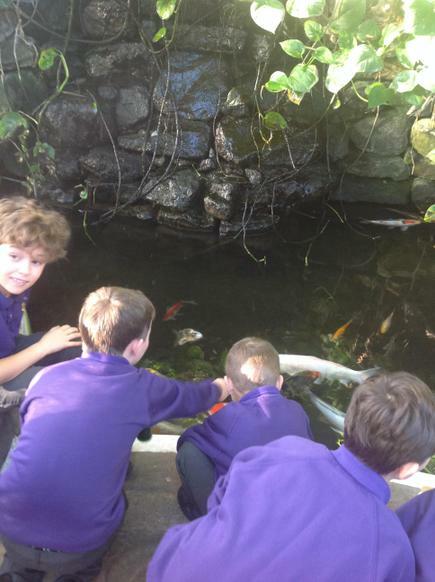 We were all so excited to be able to see real creatures that live in the rainforest in our school. 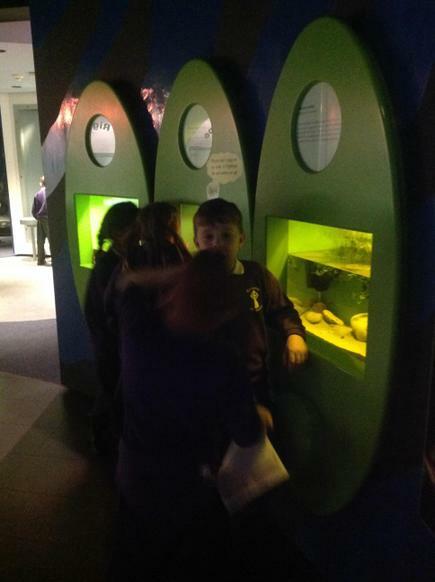 We were all able to stroke a red kneed tarantula, a snake and watch a stick insect parachute itself to safety. 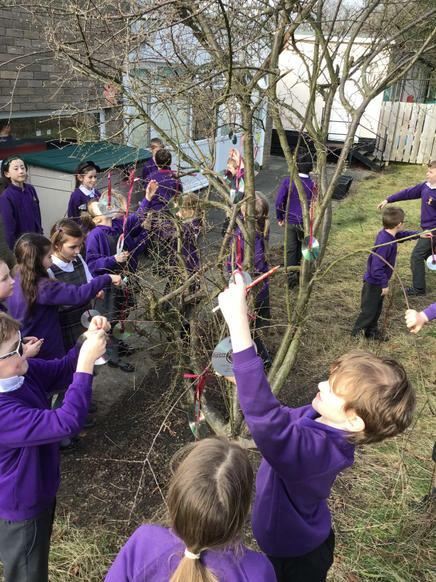 Orange class think this is going to produce some amazing writing and was a great way to bring the rainforest to Morpeth! 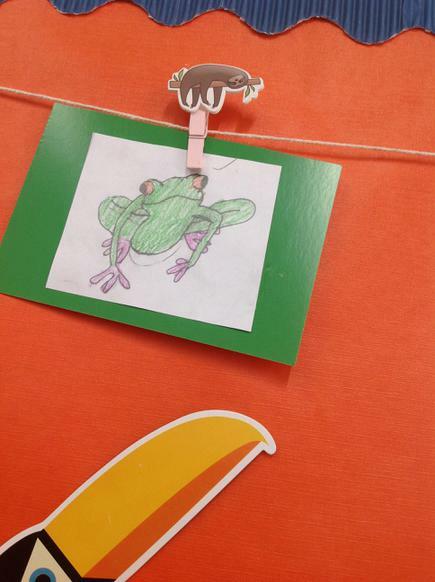 During the autumn terms we are going to make a poison dart frog beanbag. 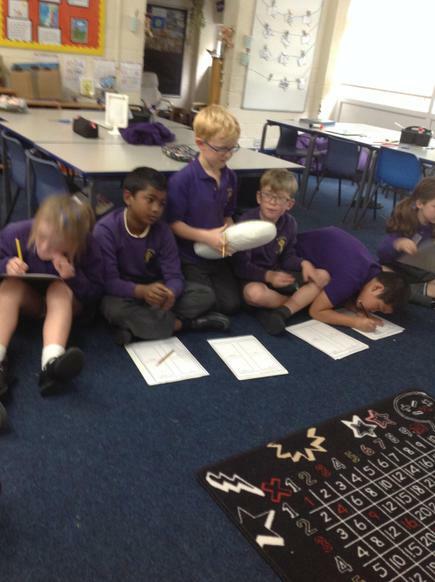 Last week we designed our bean bag. We understood that poision dart frogs are colouring and have beautiful patterns! 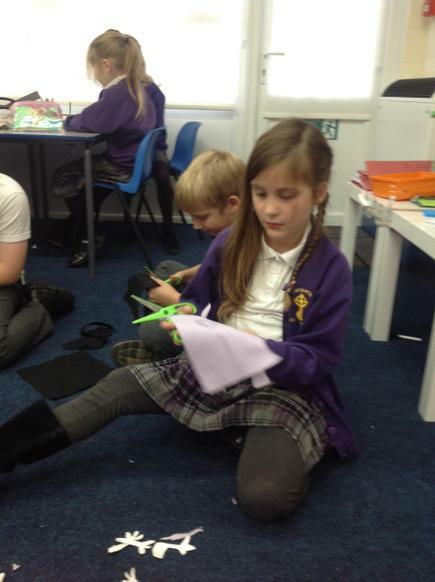 This week we investigated how to attach our beanbags together. 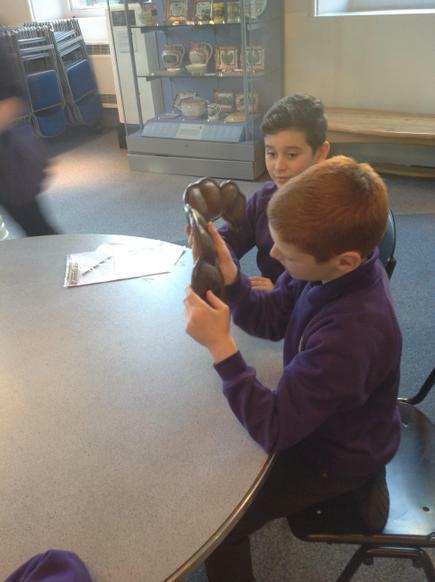 We looked at four cushions that had been attached together in different ways. We explored the good and bad parts of attaching them in this way and decided how we would like to attach our bean bags together. 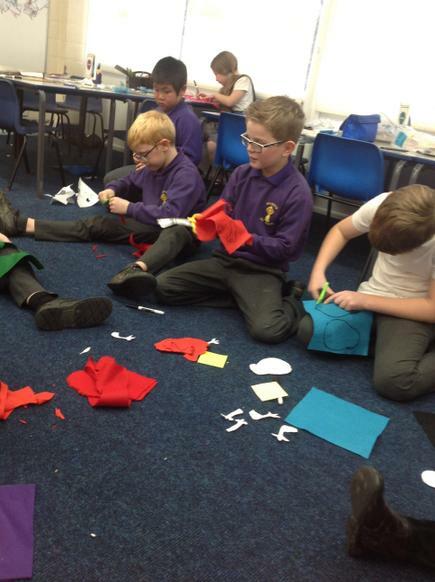 We have all decided to sew our beanbags together. 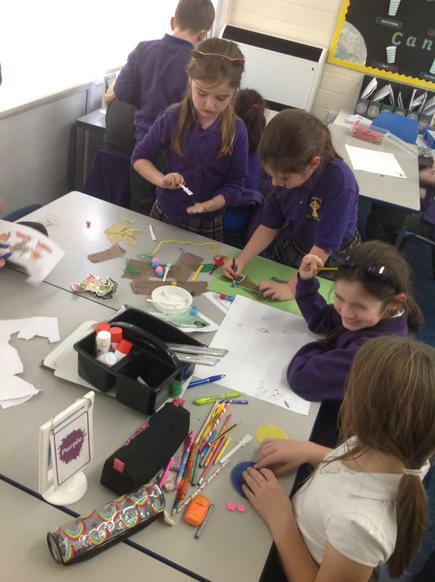 We know it might be tricky but we are all going to work super hard! 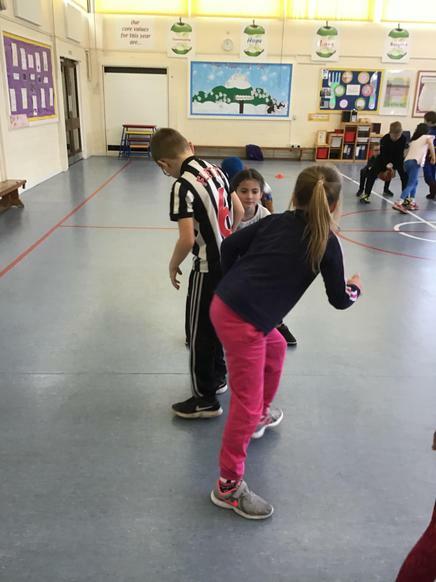 We are really enjoying the English sessions delivered by Newcastle United Foundation. 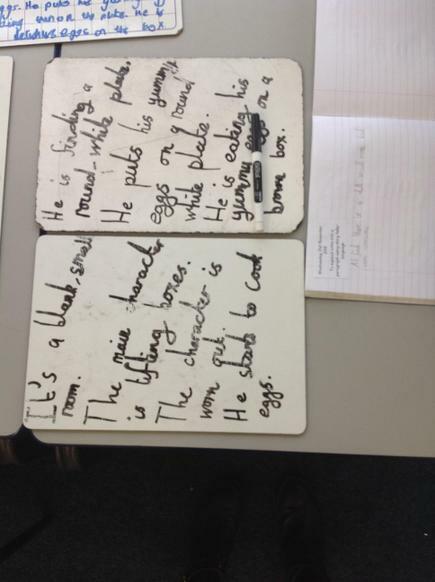 For the last three weeks we have been writing a poem using adverbs, adjectives and similies. We have been using these in our English lessons to describe Horrid Henry too, so we are experts! 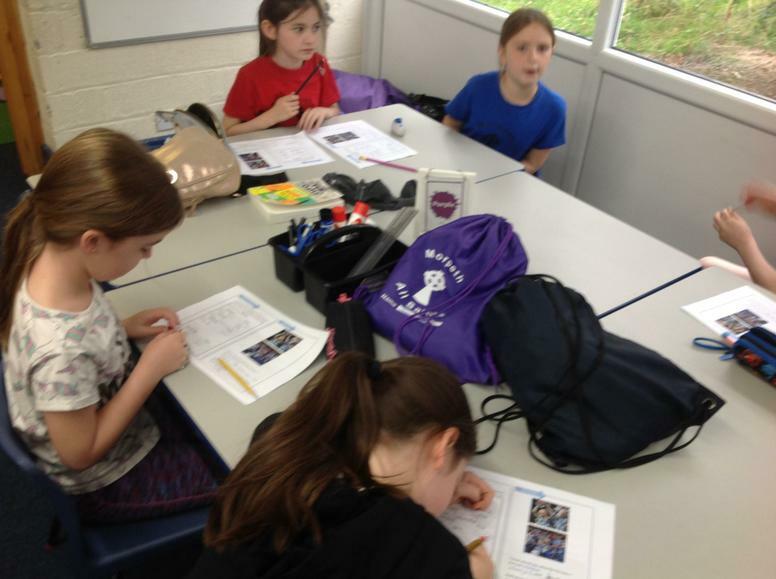 Now we are writing a persuasive leaflet to encourage people to attend Newcastle United football games! 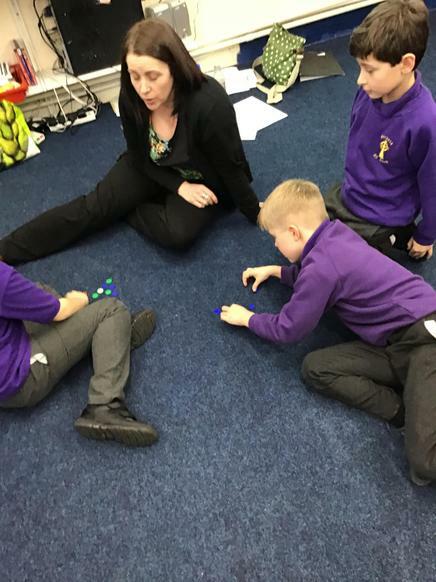 We practise our times tables every day in orange class because they really help us in our maths lessons. 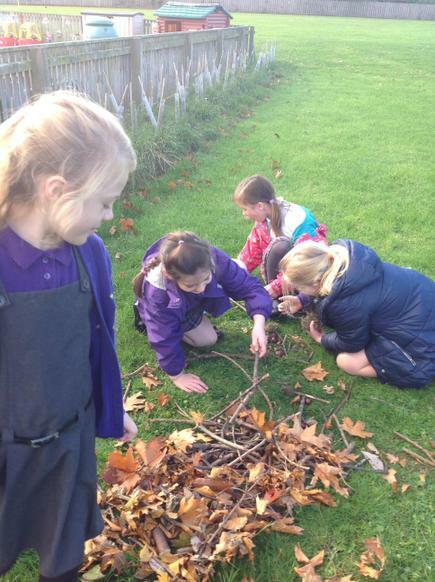 We enjoy taking part in lots of activities in small groups or as a whole class. 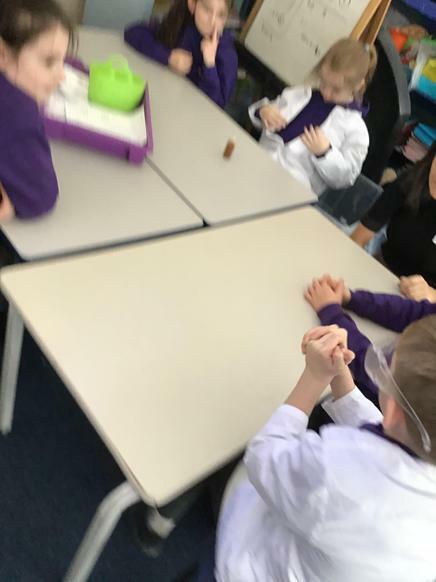 Today we played the 'Think Fast!' game with a beach ball and really enjoyed challenging eachother. 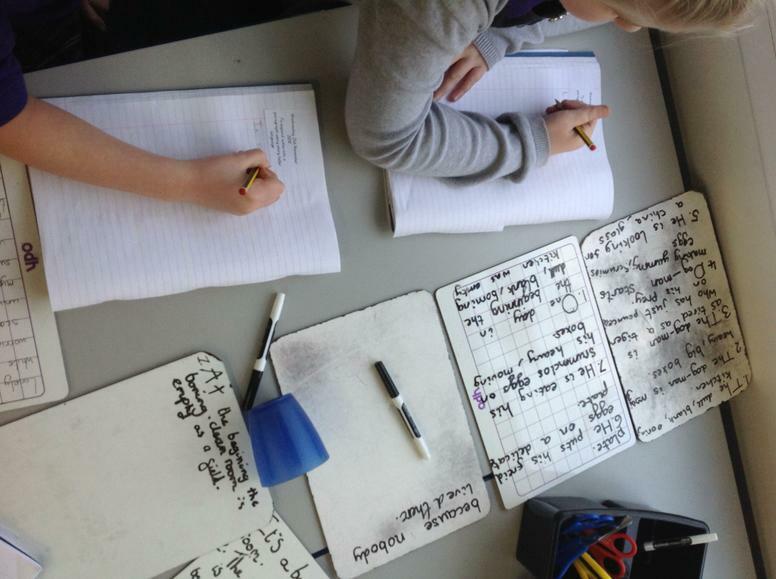 We also use daily ten, multiplication grids, beat the clock and flash cards to make sure that we're up to speed. Do you practise your tables at home? During our English lesson we talked about all the different reading that we take part in. 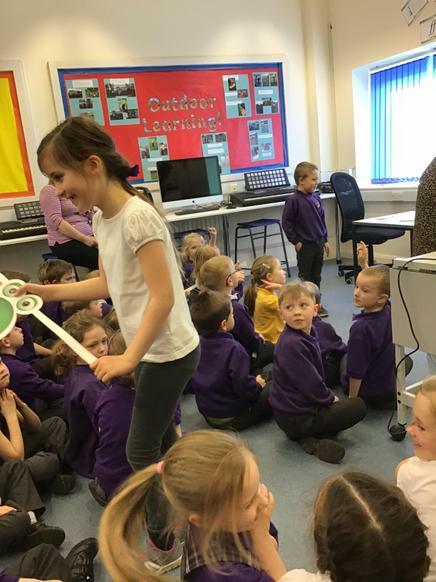 Lots of children enjoy reading a story before bed, some children enjoy reading magazines or comics and some children enjoy reading the newspaper that is delivered to school. We also talked about who we read to or read with. 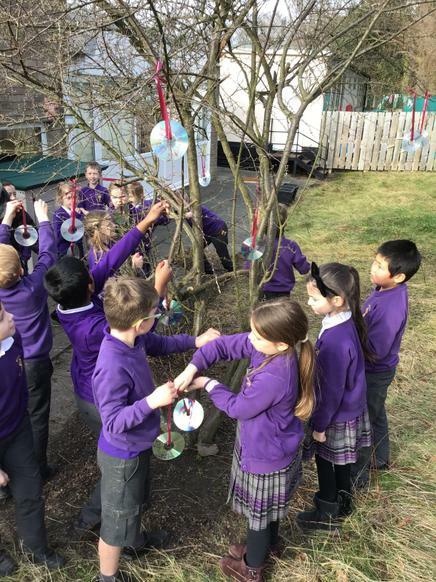 Lots of children say that the reading garden in our classroom is a nice place to read and choose to do this in their free time. We are studying the topic Mama Mia in music! 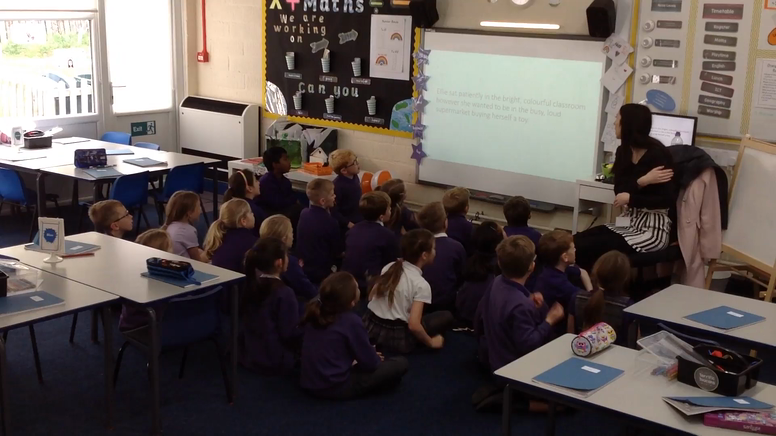 In our first lesson we listened to the song really carefully and discussed how the song made us feel. 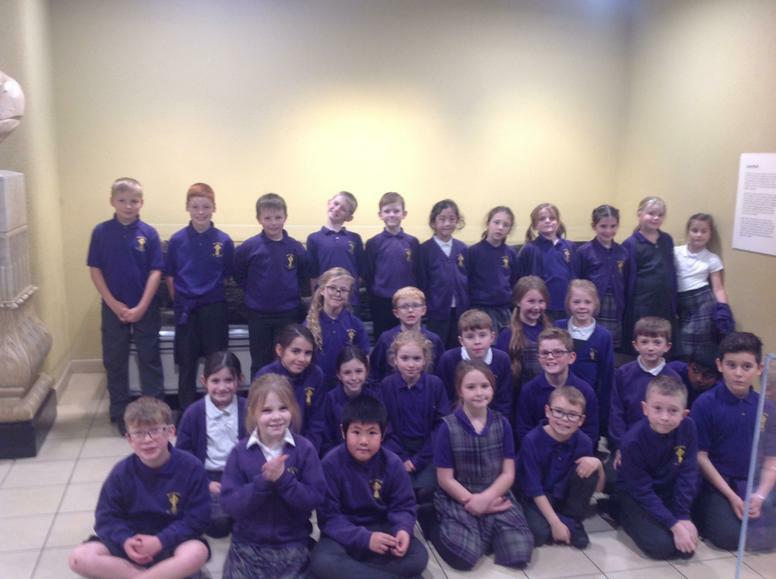 I am so proud of everyone in the class for joining in and putting so much effort into their music lessons. 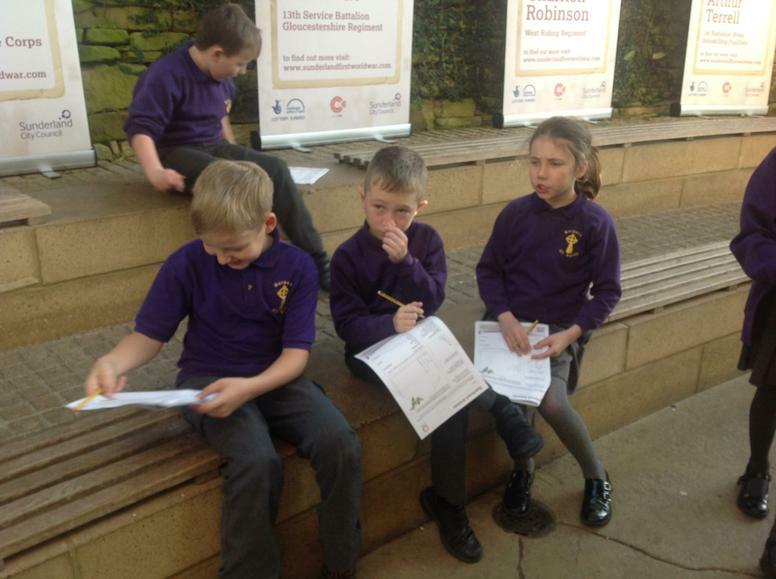 Even though some children were a little bit nervous to perform they all tried their best. 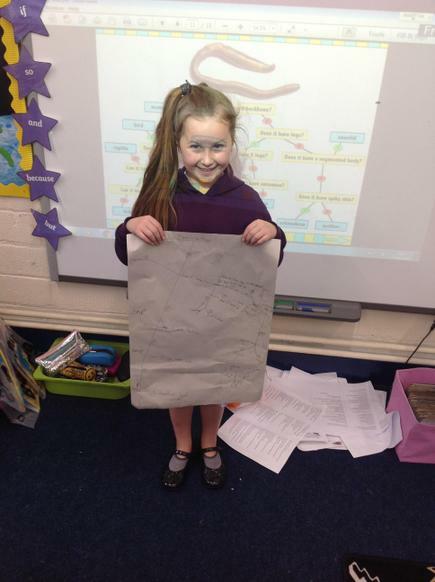 In a geography lesson we talked about the different layers of the rainforest and thought about which animals and plants might live in each. 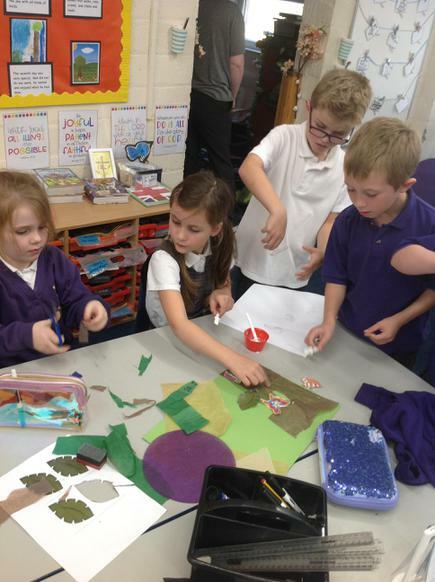 Then in our topic groups we then each made a layer of the rainforest so that we could put them together to make one giant rainforest! We are so proud of how they turned out! Can you spot each layer? 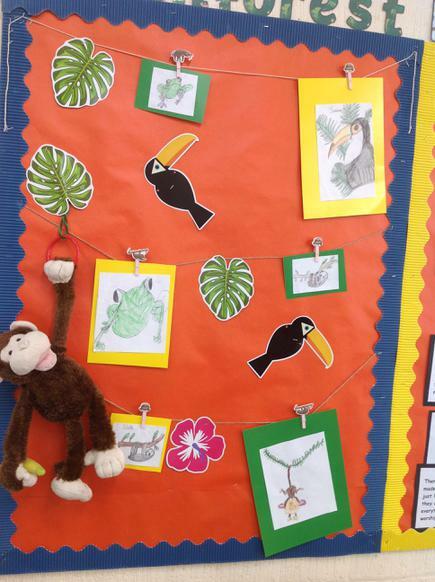 How amazing is the rainforest art that we completed this week? 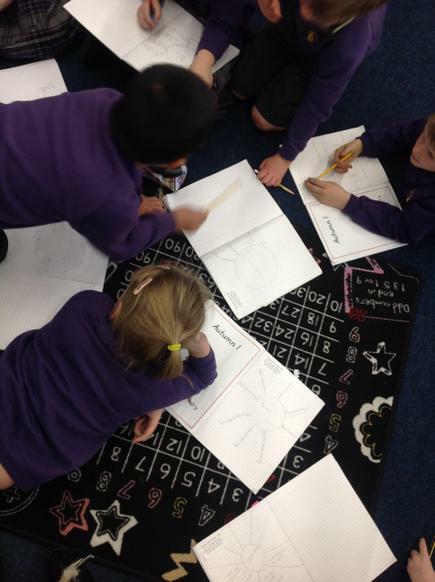 We have been following guided drawings very carefully to produce some amazing artwork. 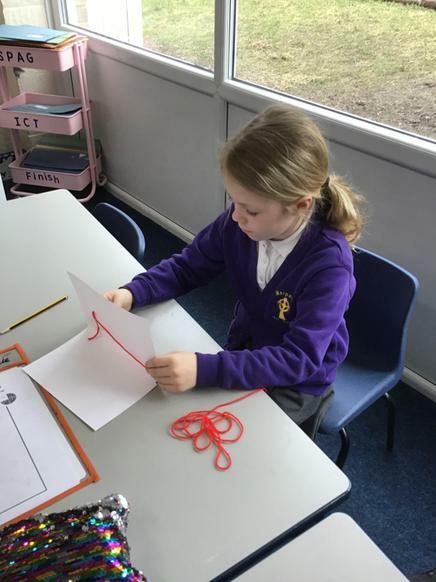 We understand how important each line in a drawing is and we are aware of how important it is to listen carefully to instructions. 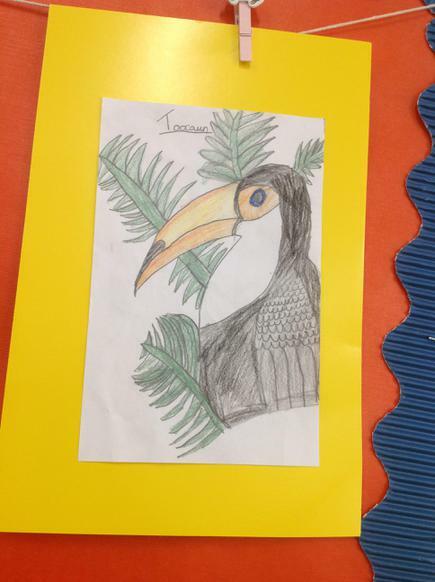 Could you draw a rainforest animal at home? 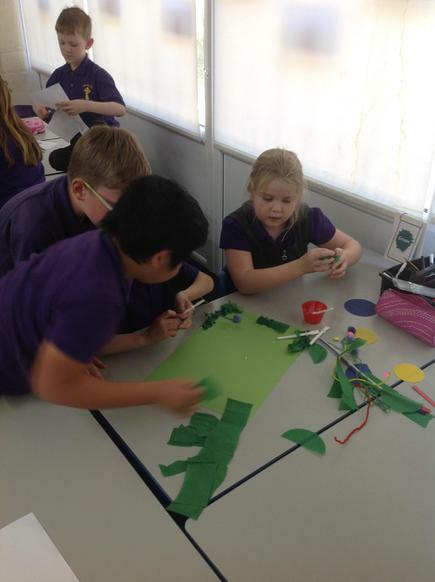 The topic that we are studying this term is ‘The Rainforest’. 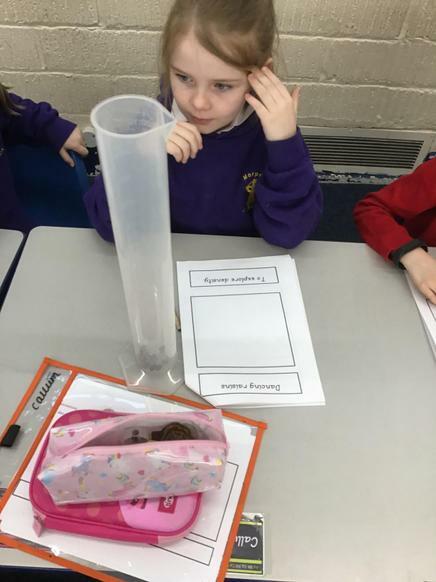 In our science lesson we explored the different plants that you would find in the rainforest, searching through different materials to find facts and matched them to plants. This was super messy work but we now know lots of interesting facts!